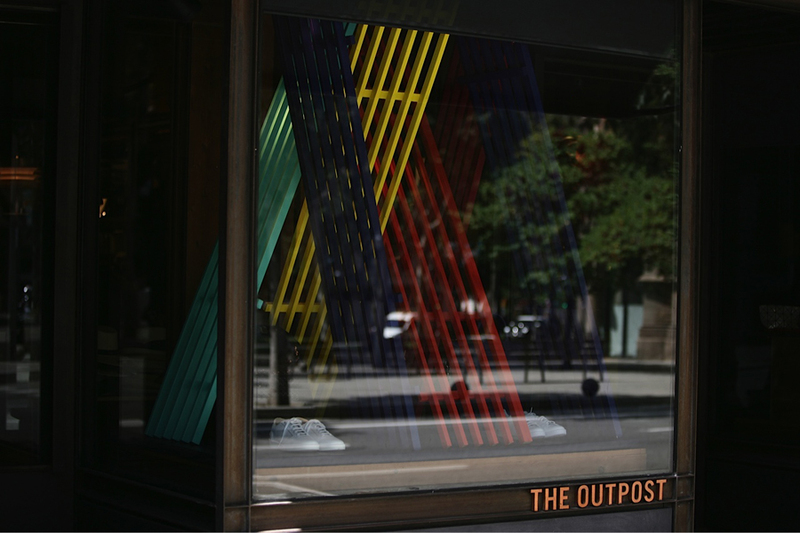 (‘out,post) Sustantivo, Pequeño campamento o posición a cierta distancia del cuartel general usado especialmente como centinela ante un ataque sorpresa. 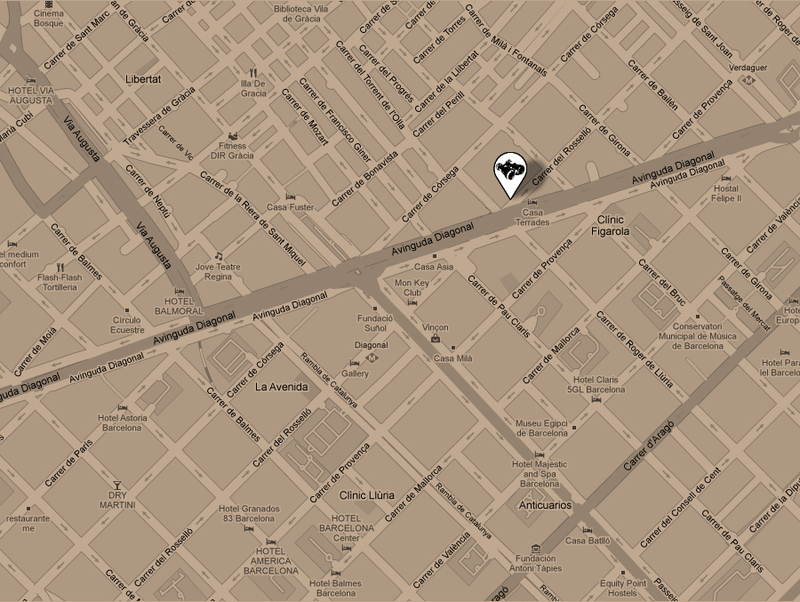 Lugar remoto de un país o imperio. 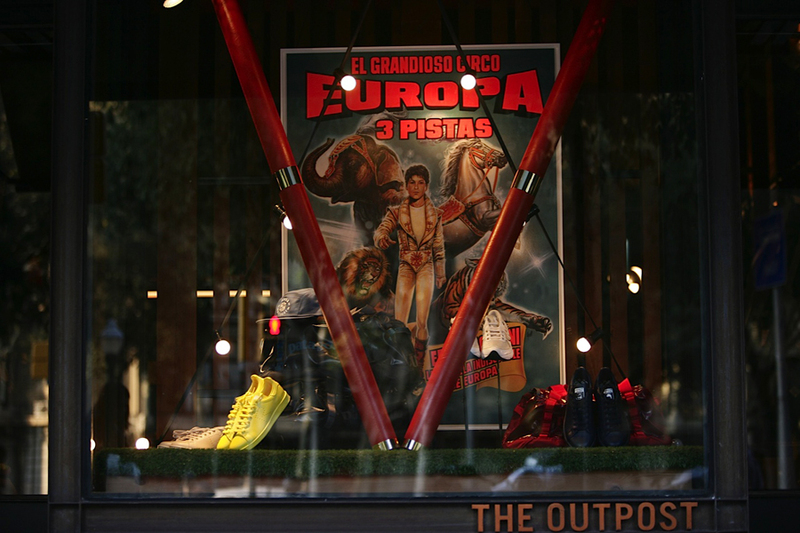 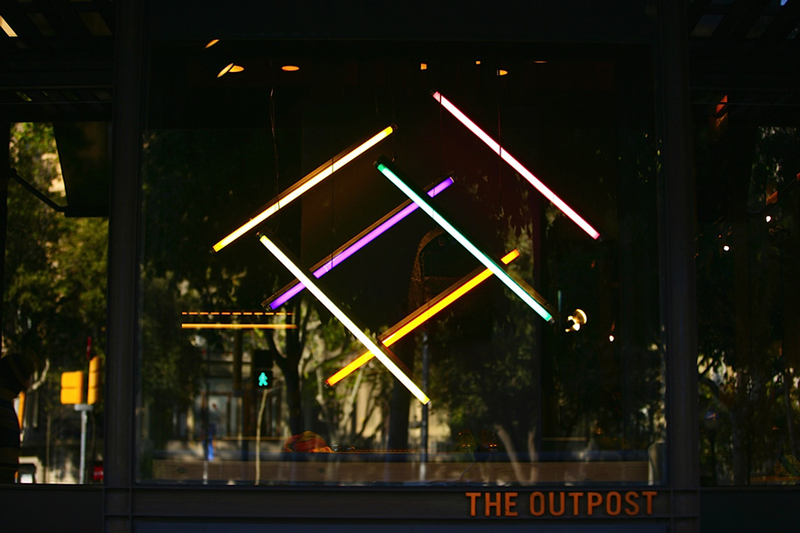 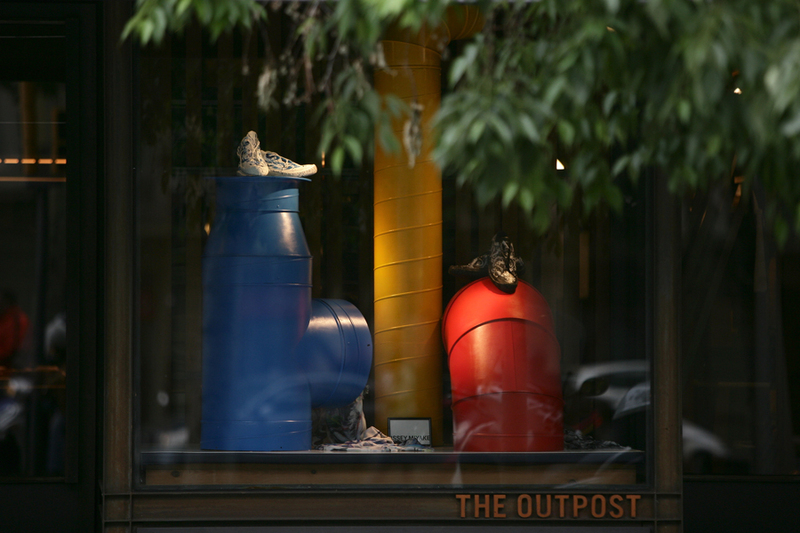 The Outpost ofrece una amplia selección de marcas clásico-contemporaneas de calzado y accesorios. 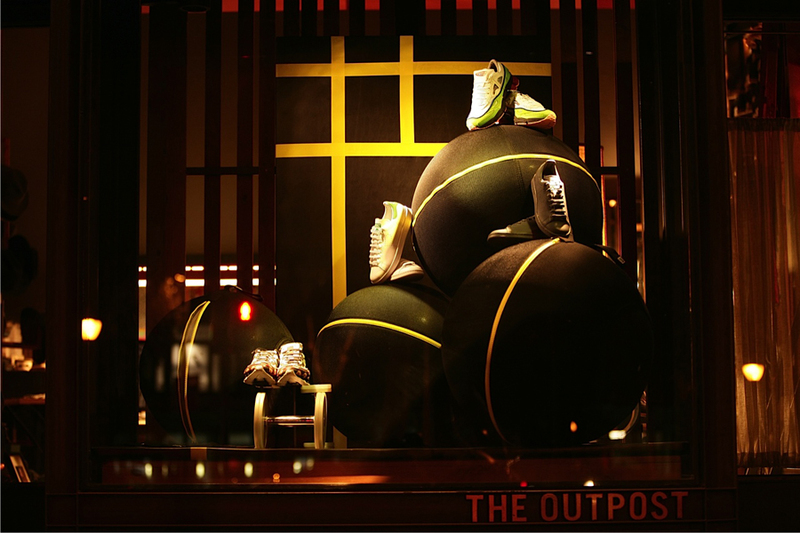 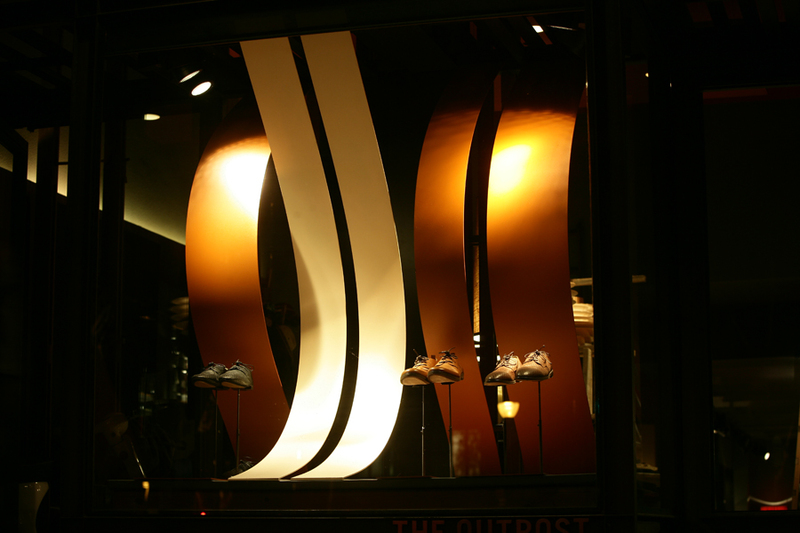 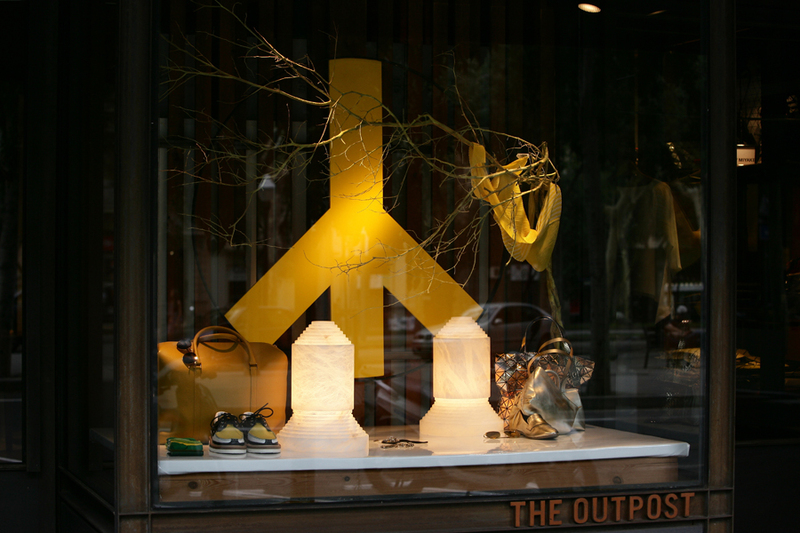 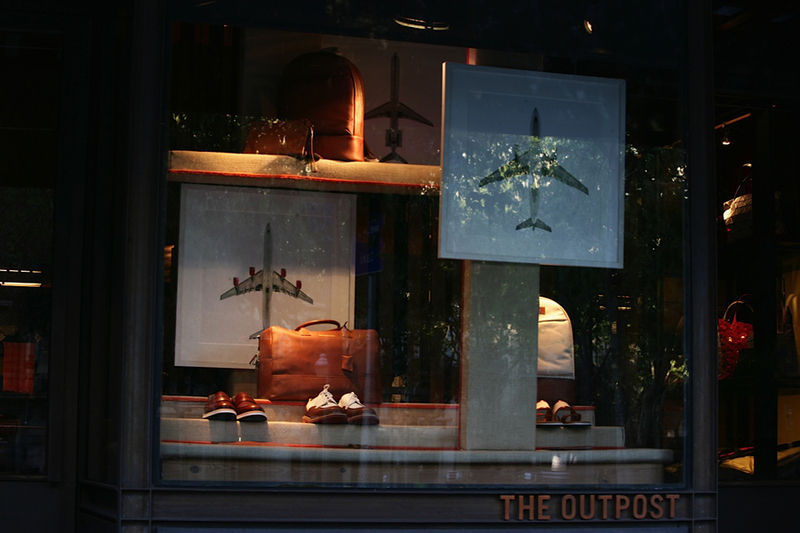 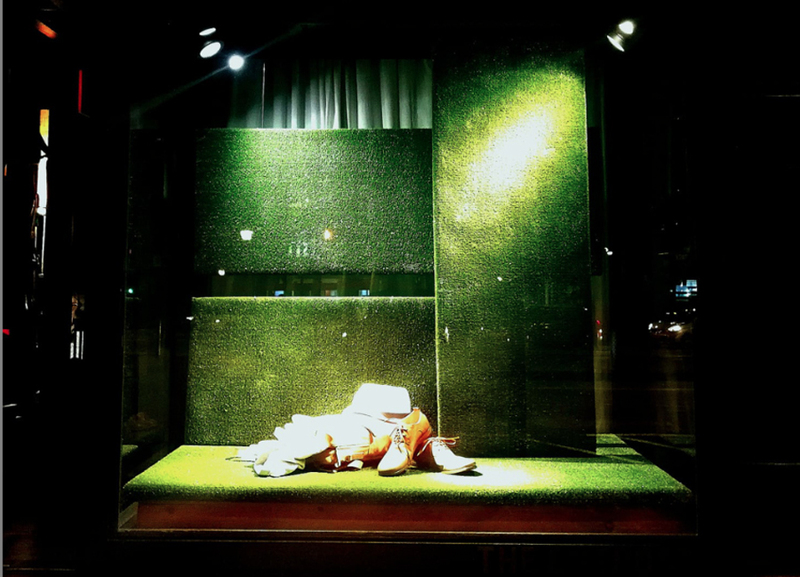 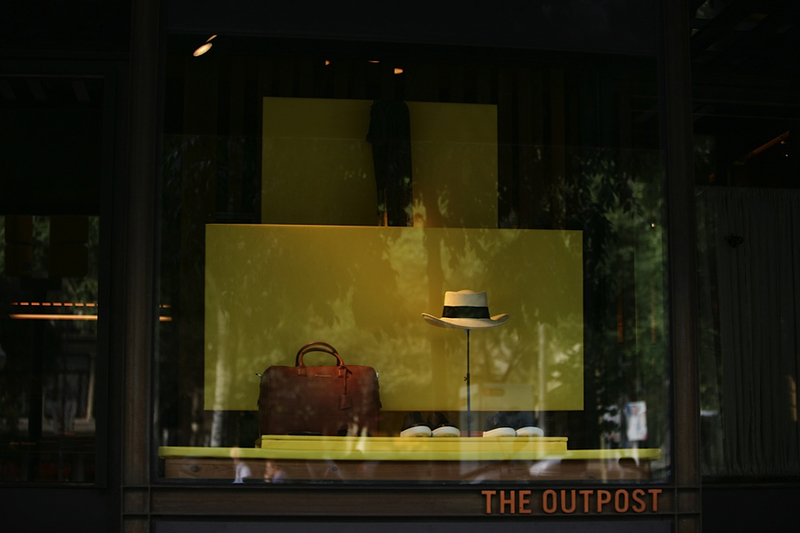 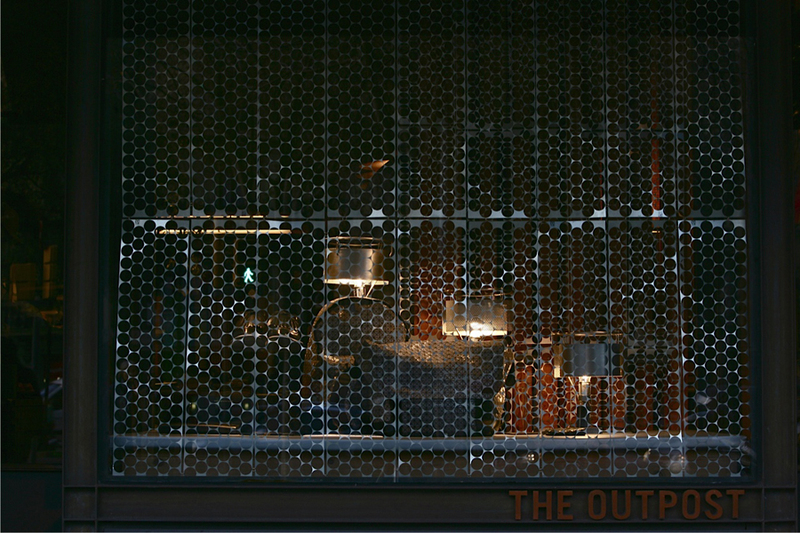 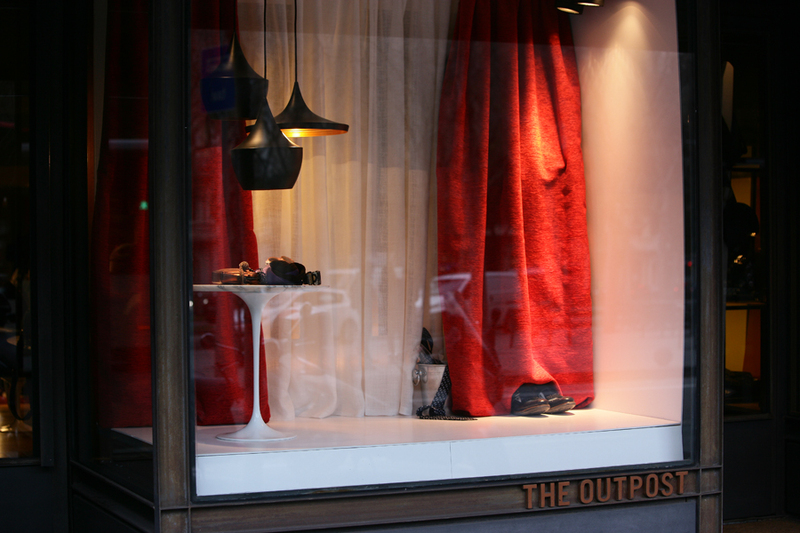 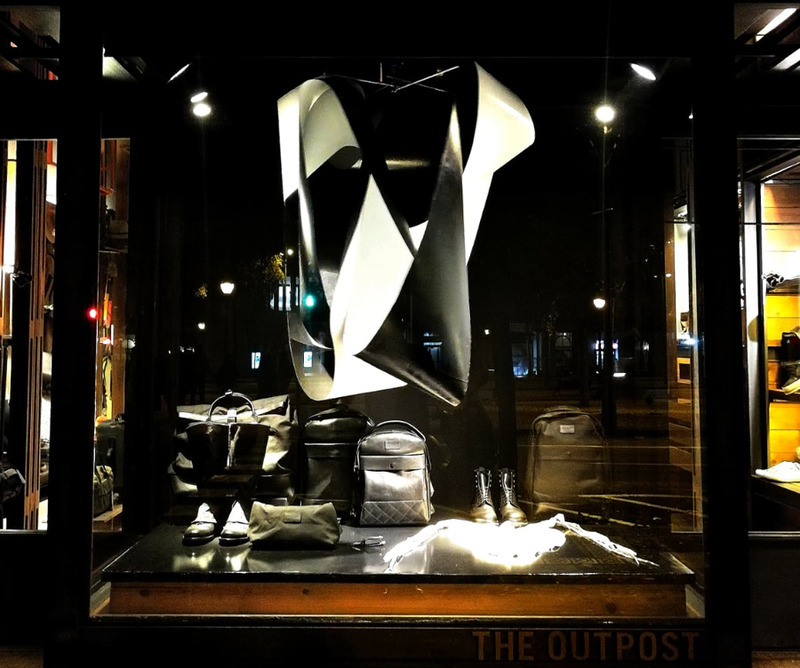 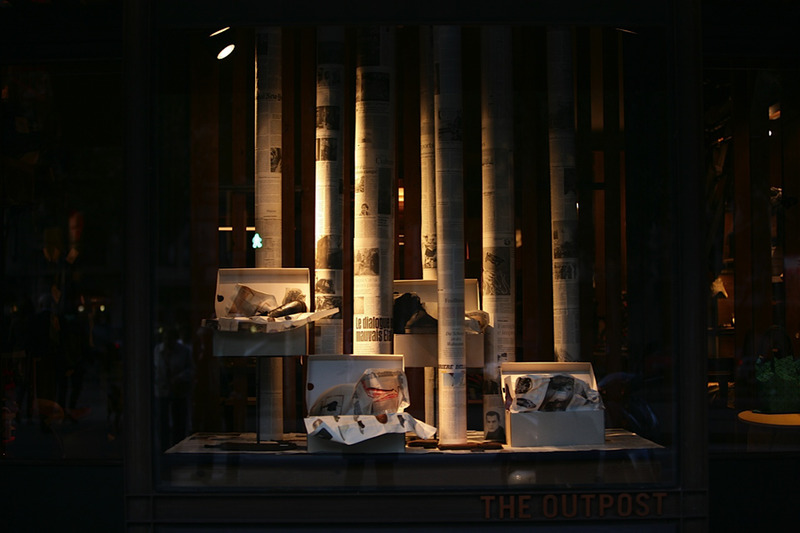 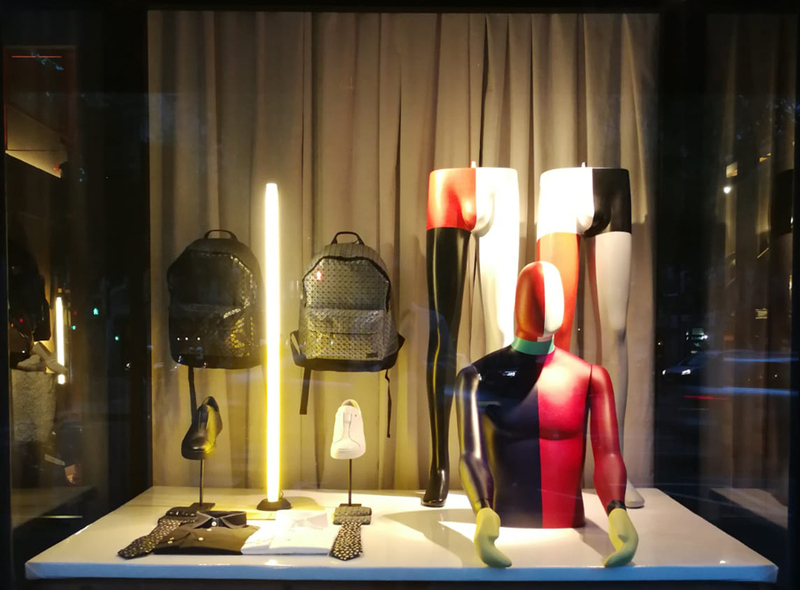 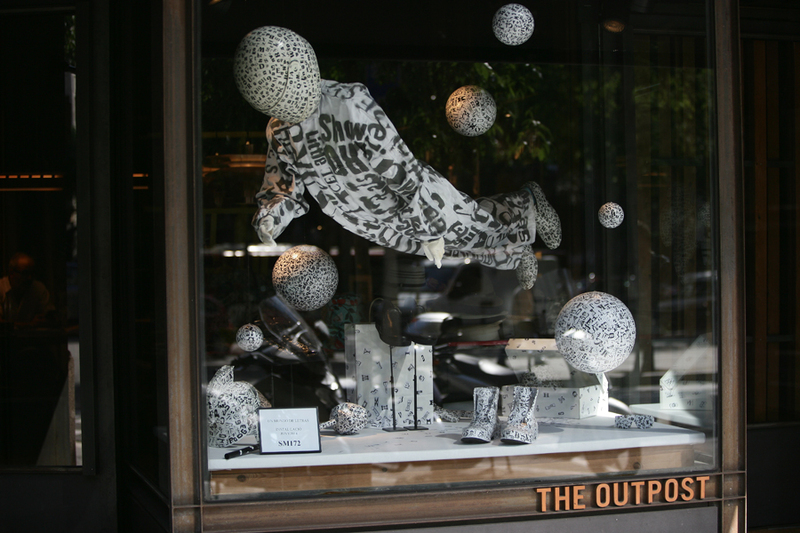 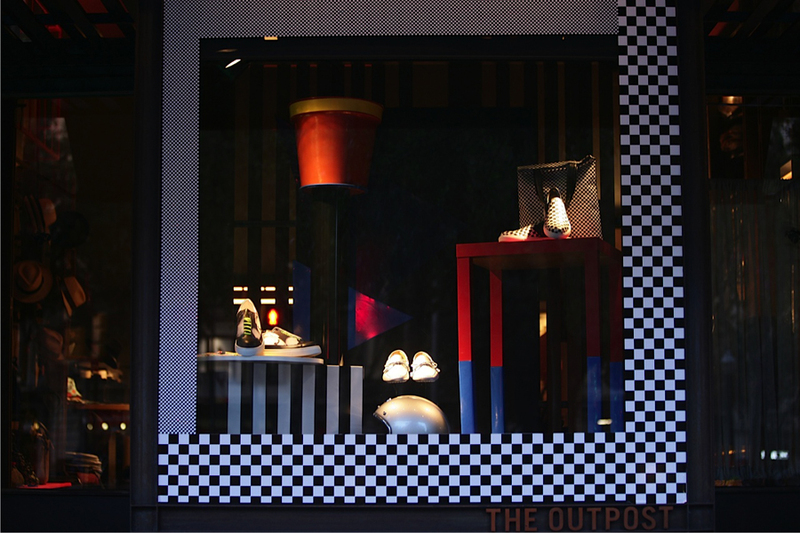 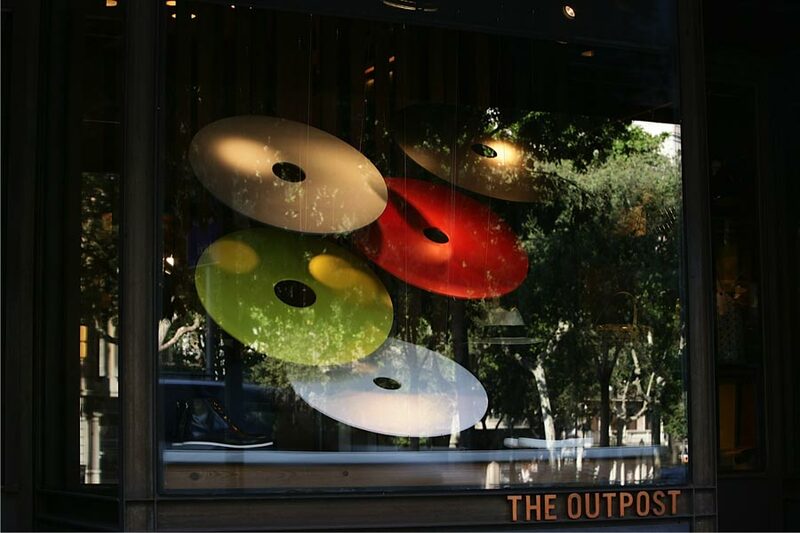 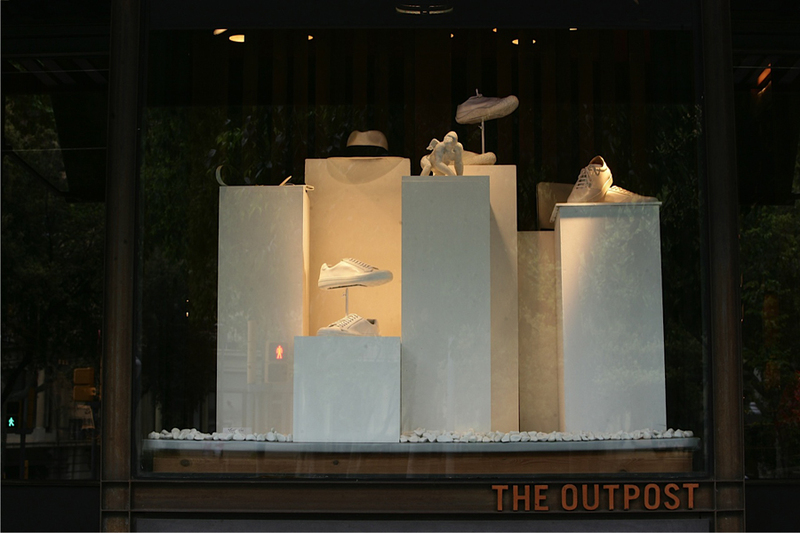 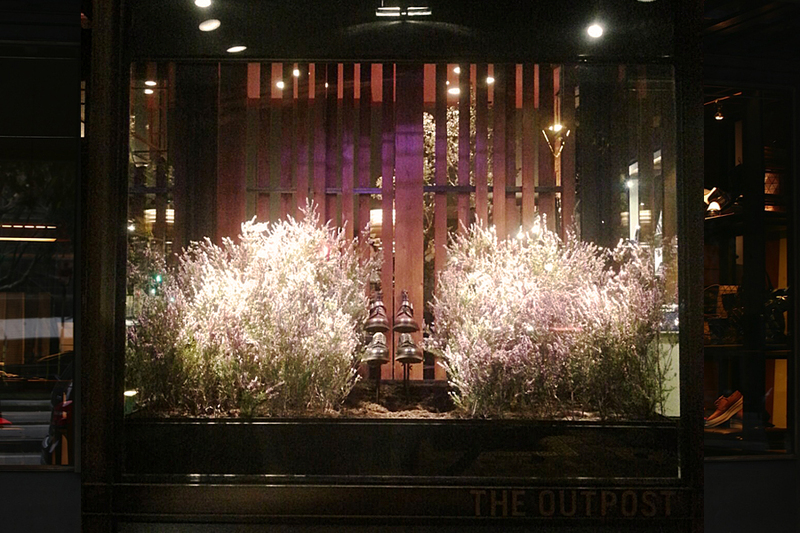 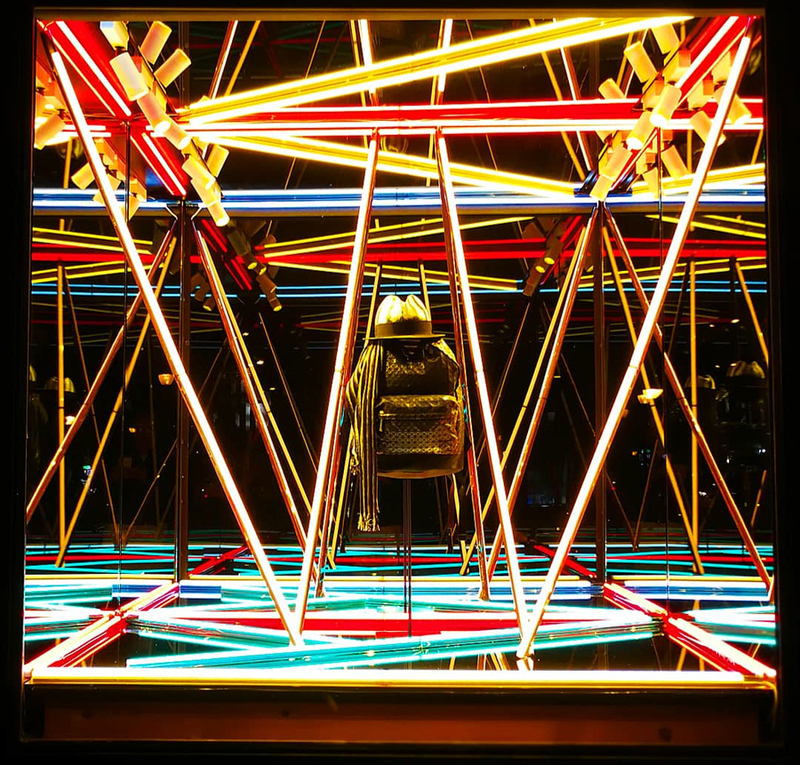 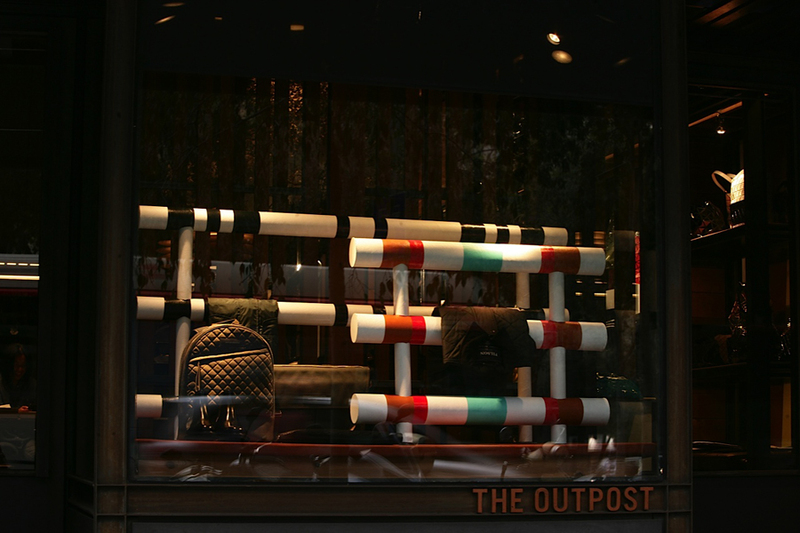 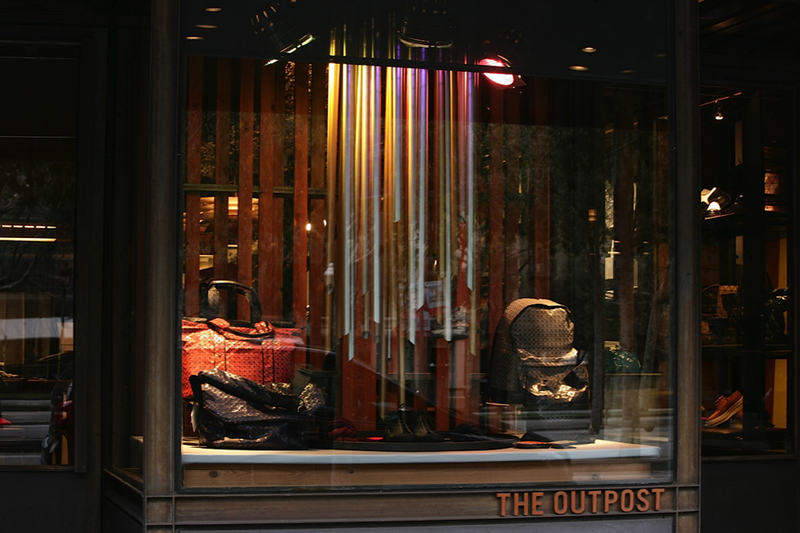 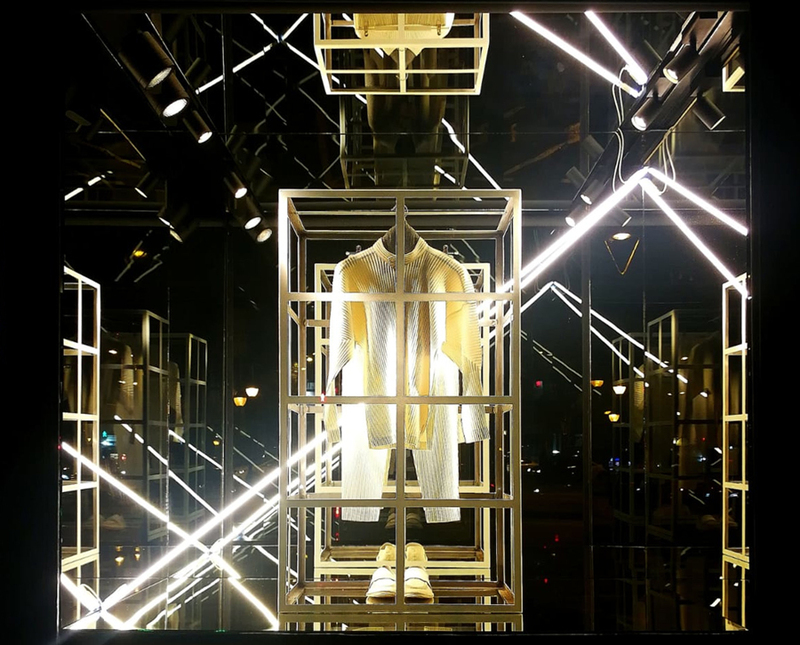 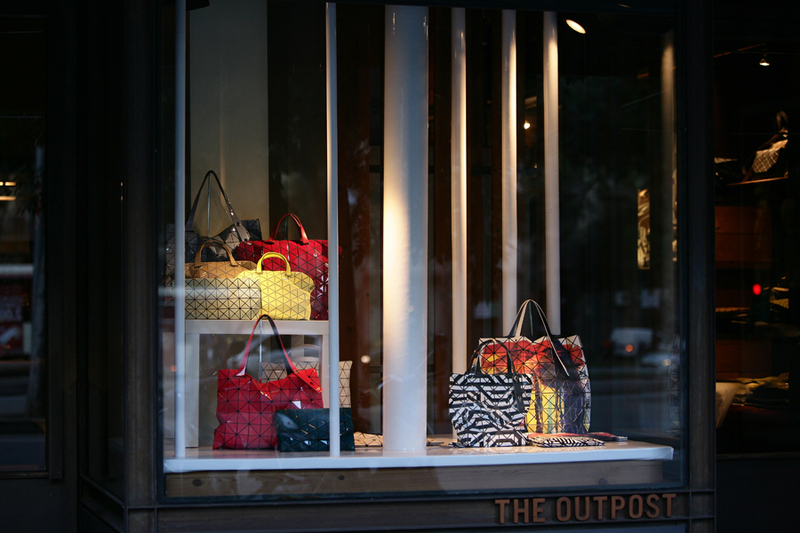 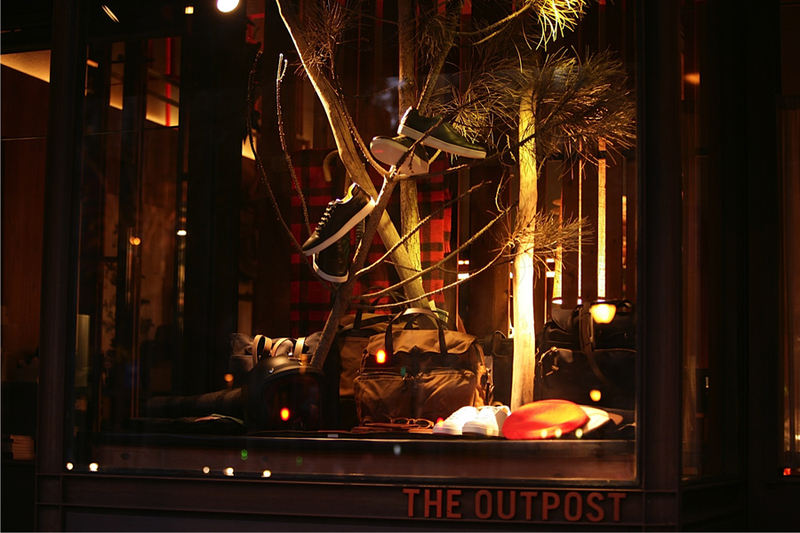 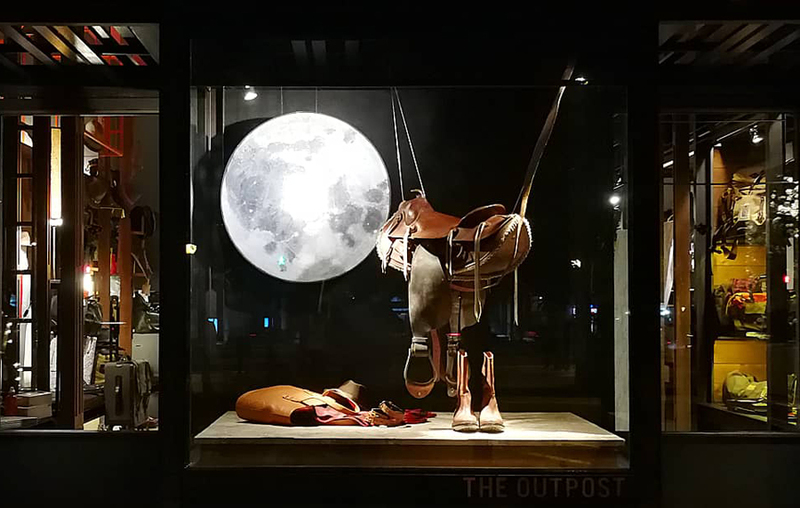 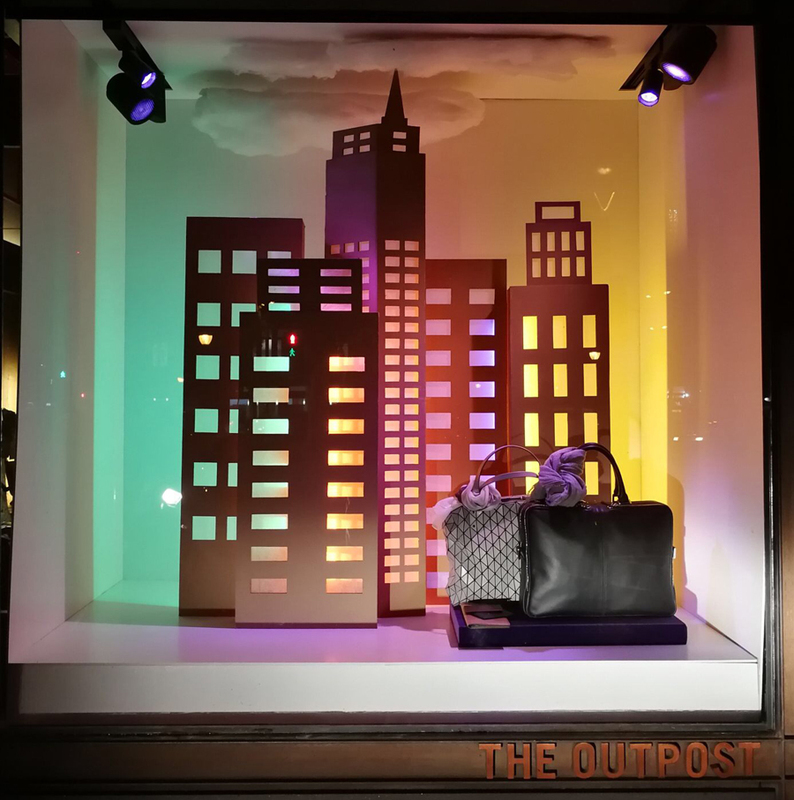 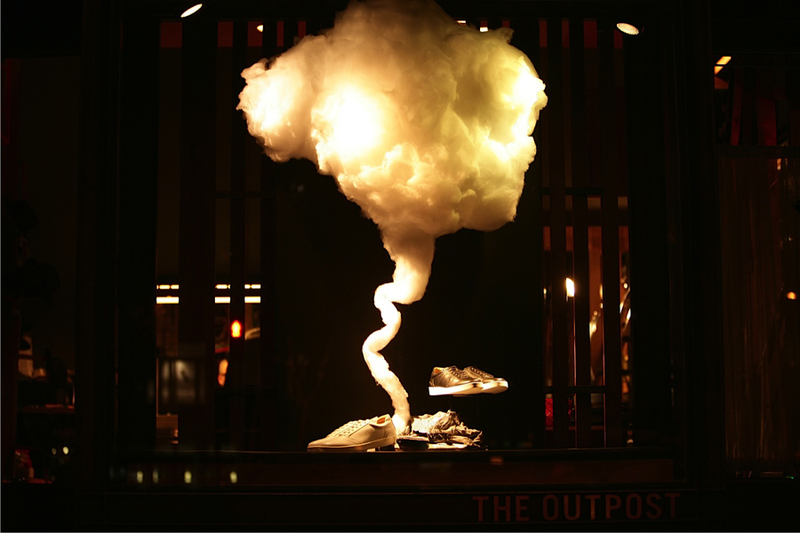 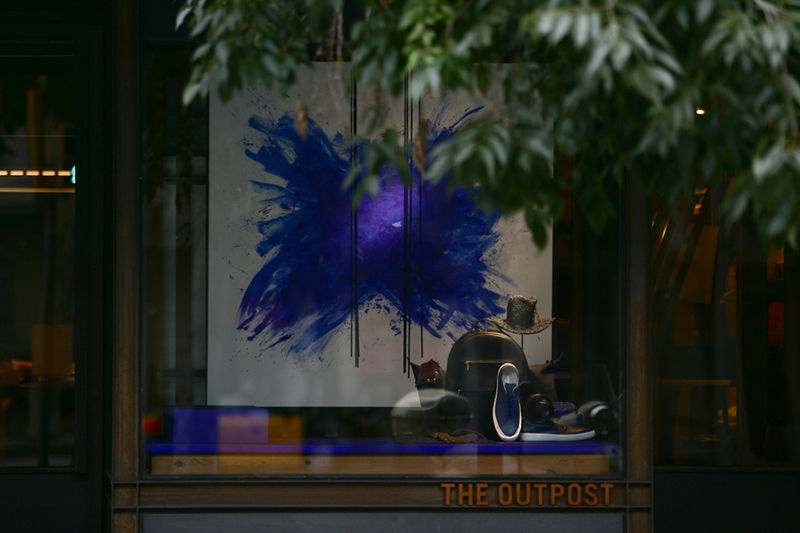 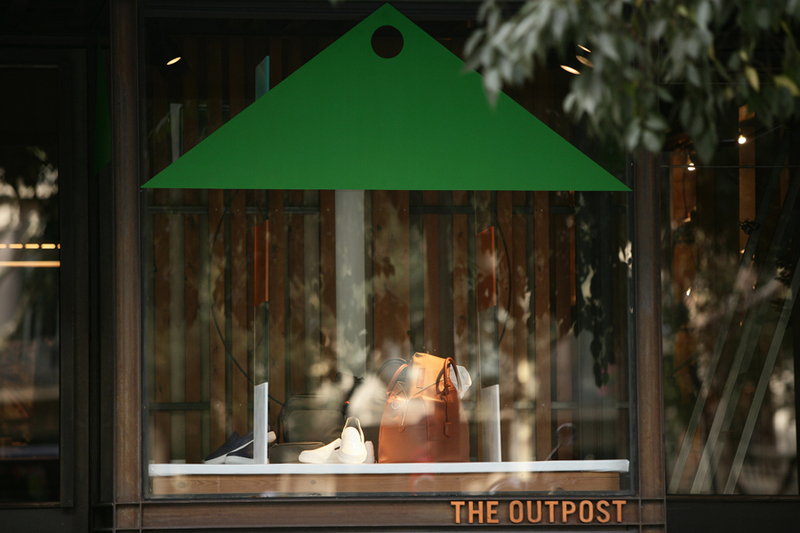 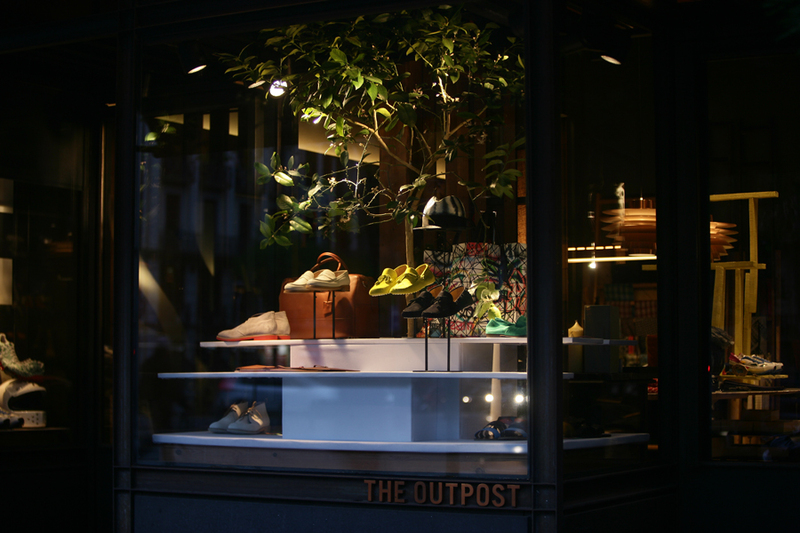 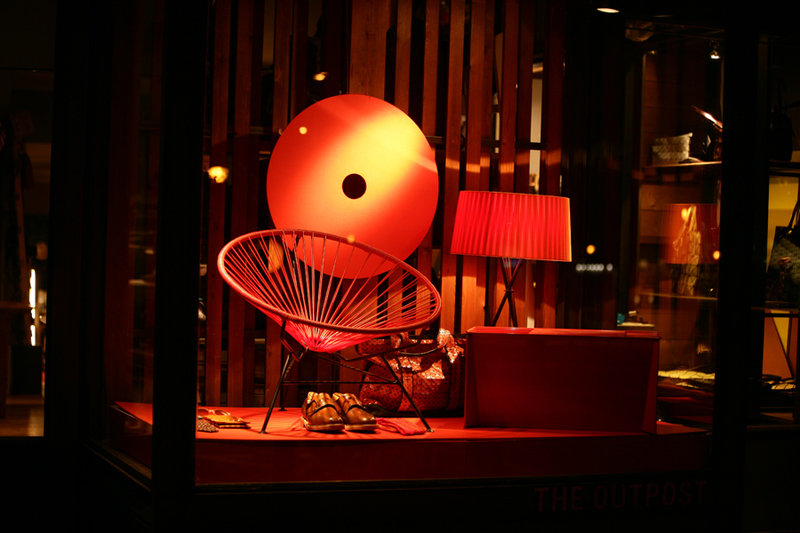 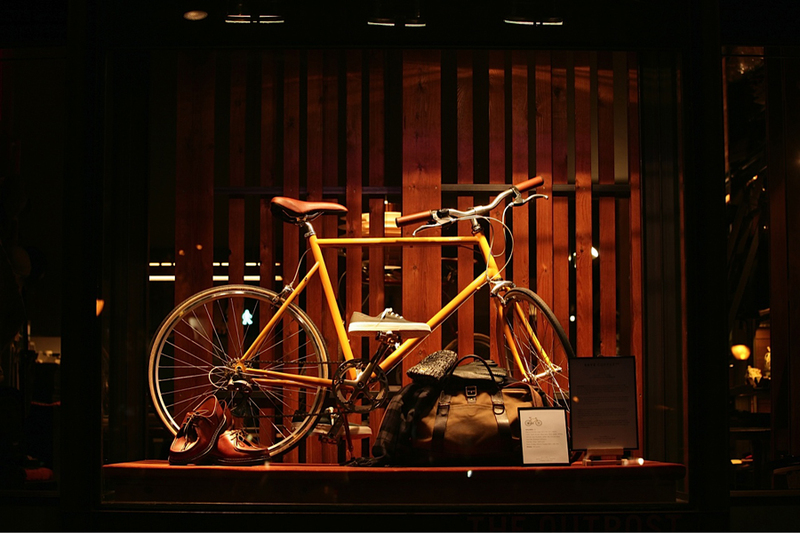 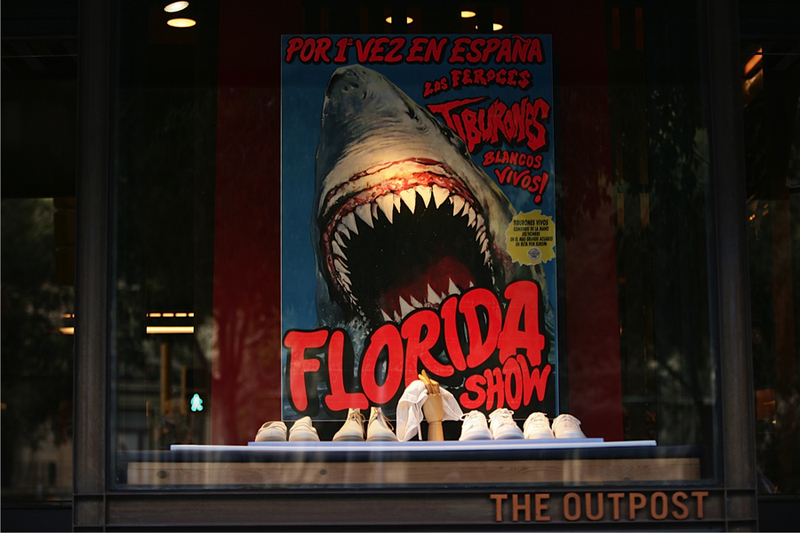 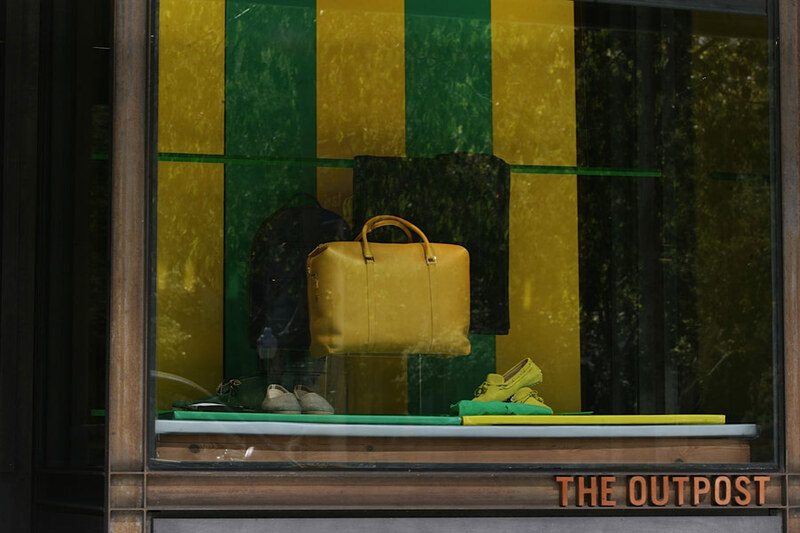 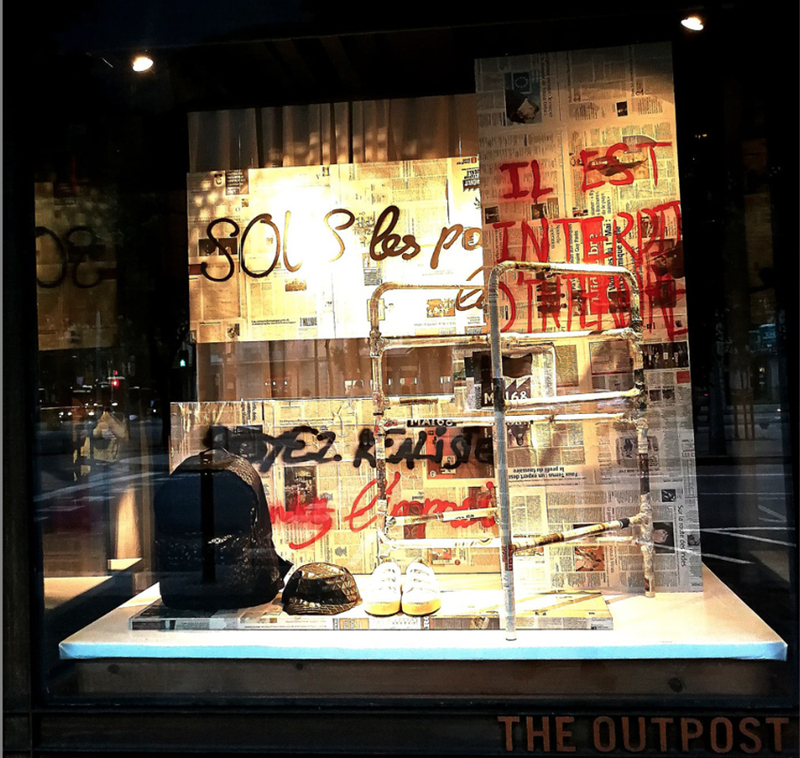 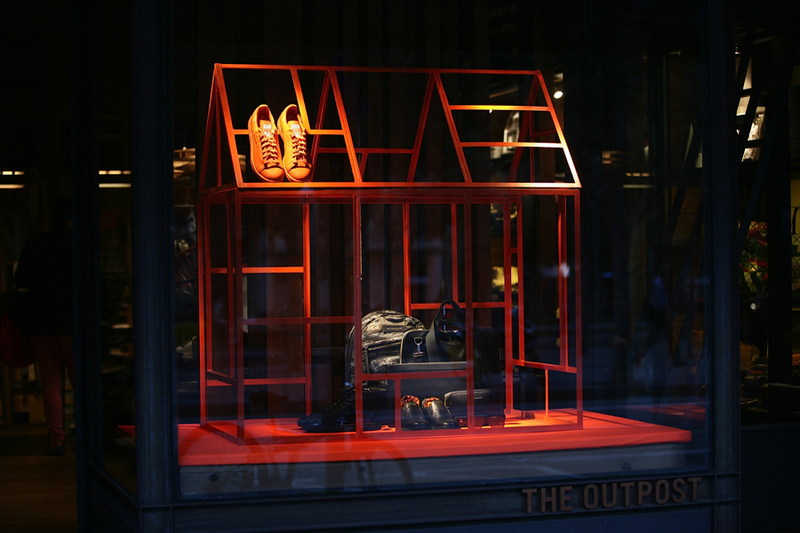 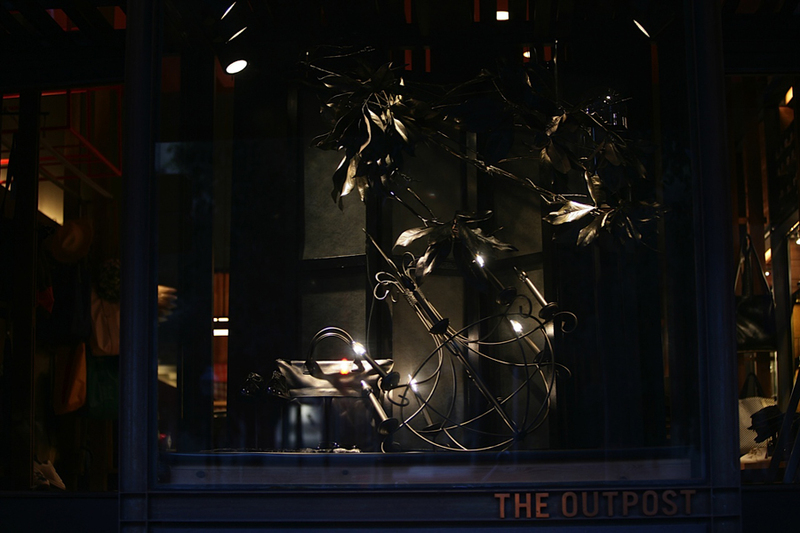 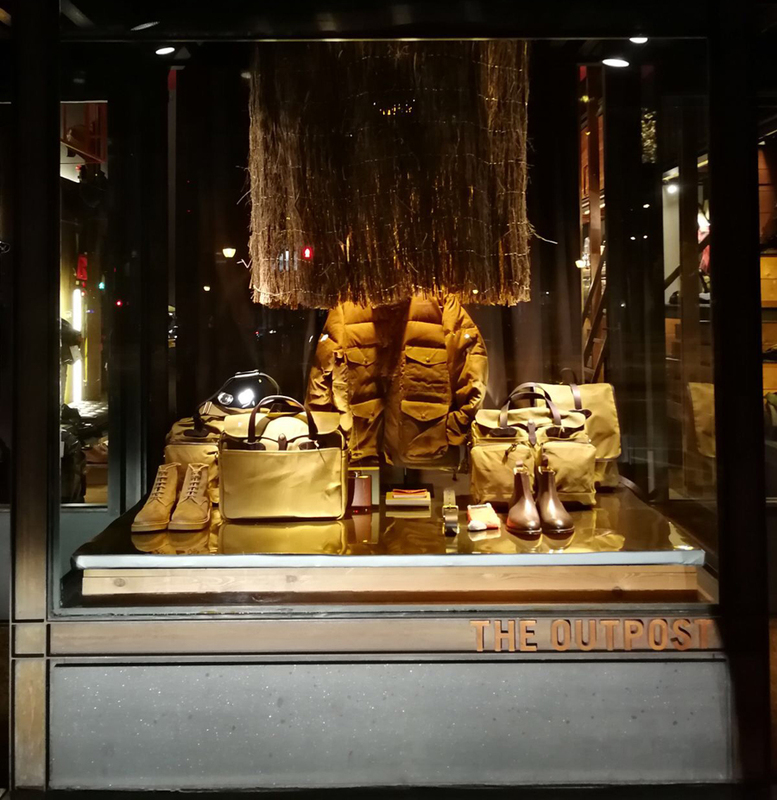 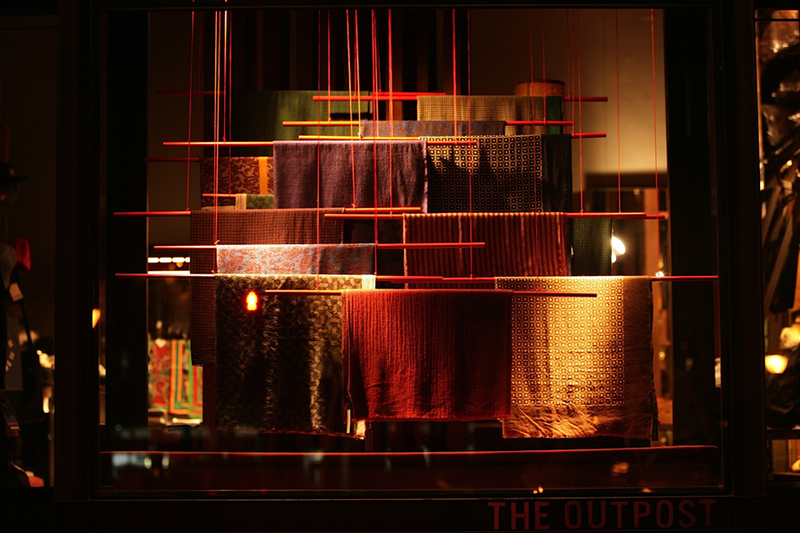 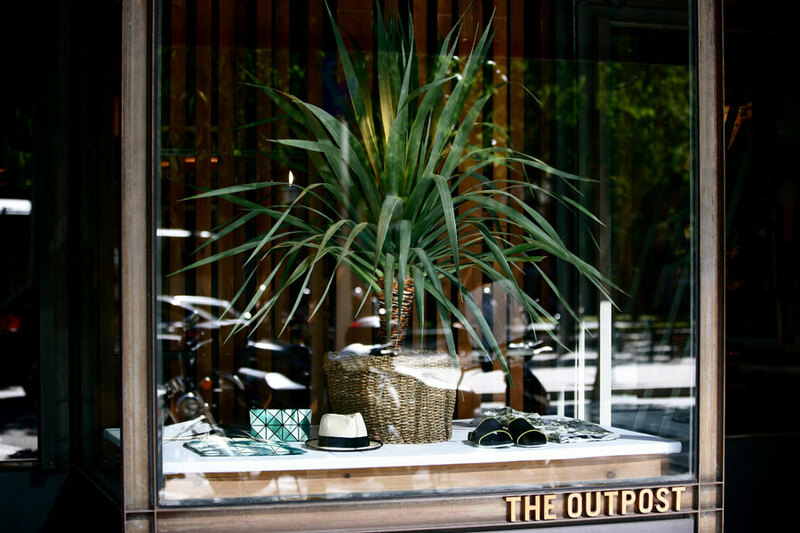 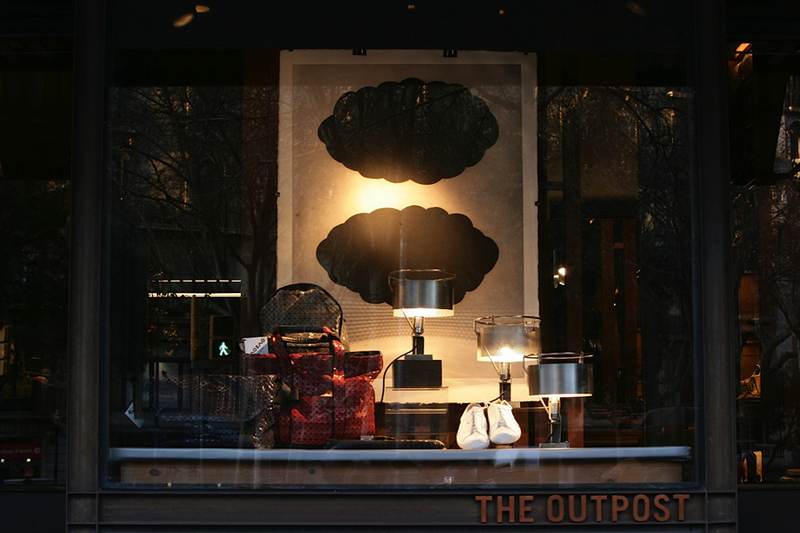 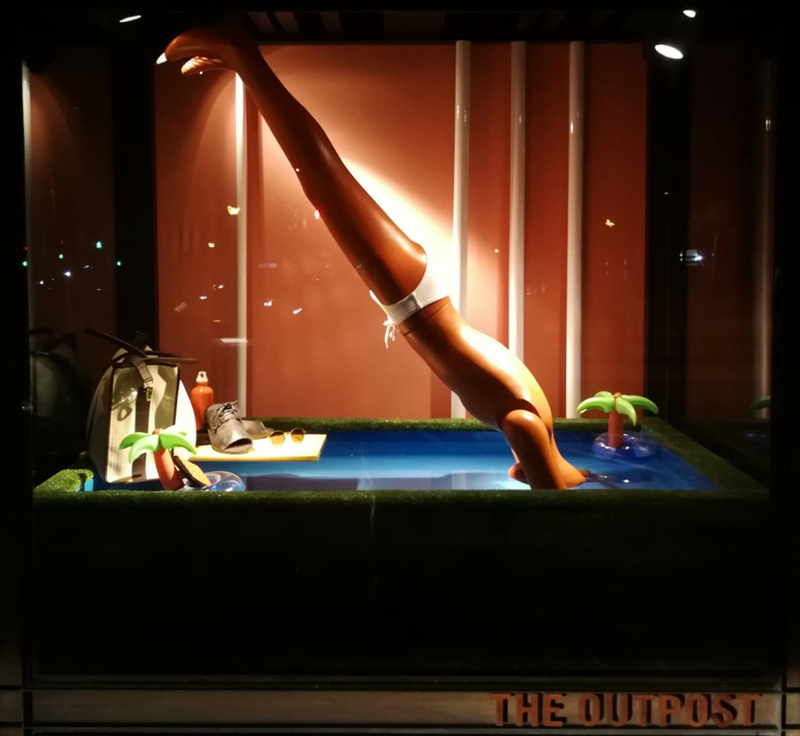 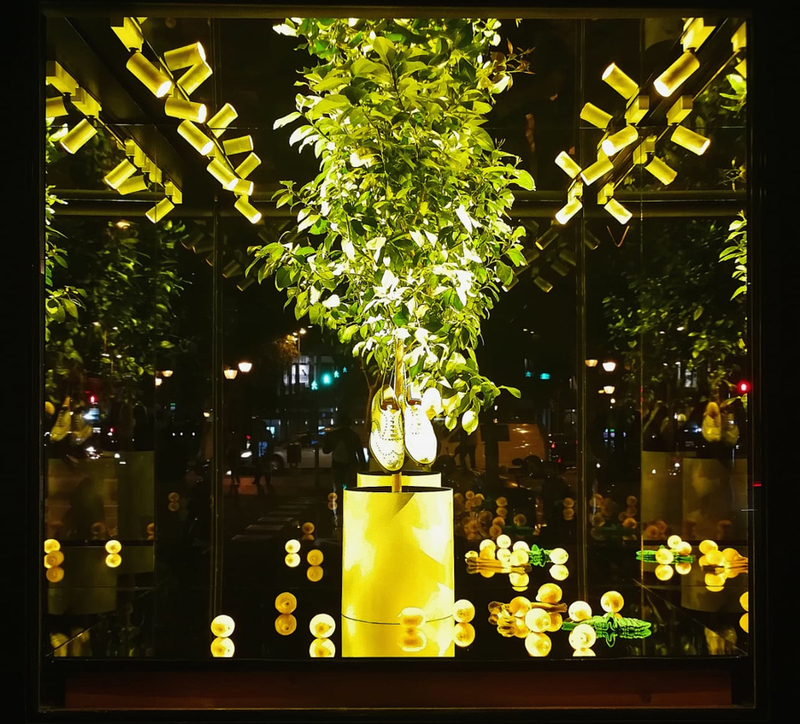 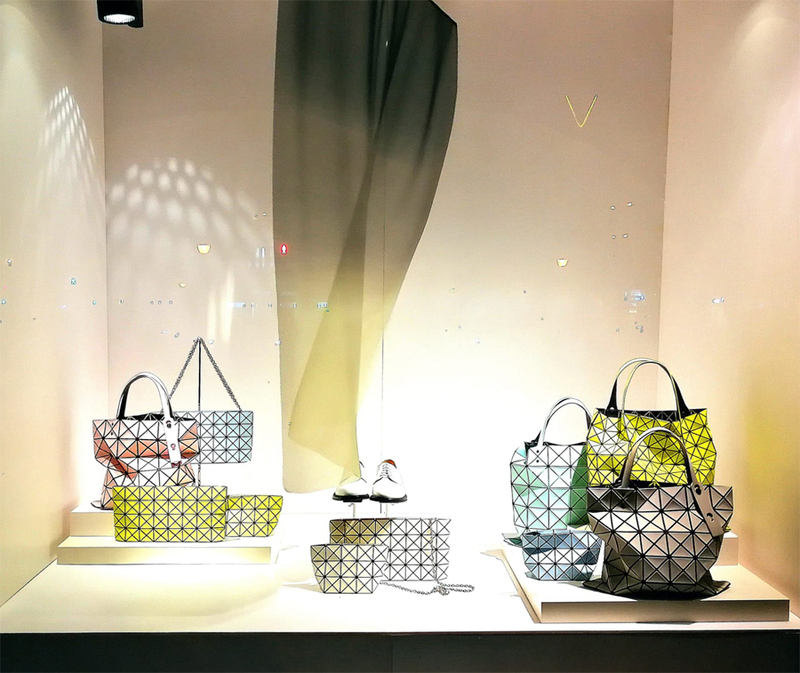 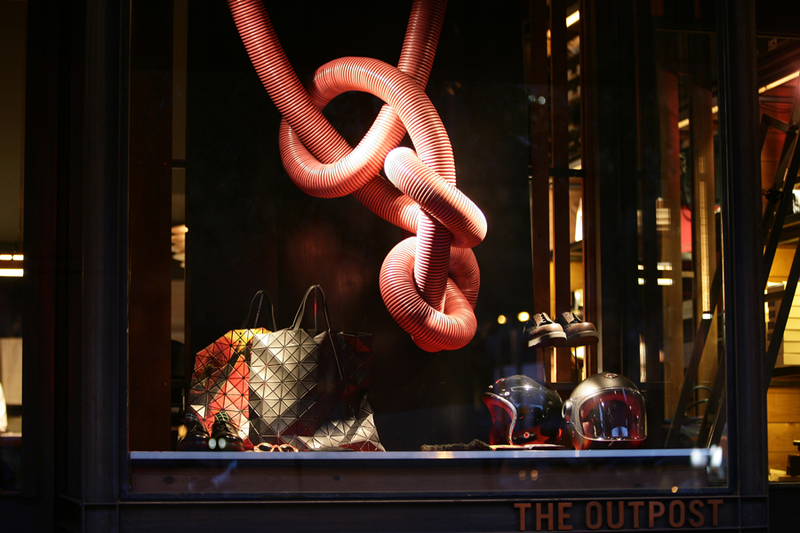 THE OUTPOST, at the limits of the central Eixample and the luxury commercial area of Passeig de Gràcia. 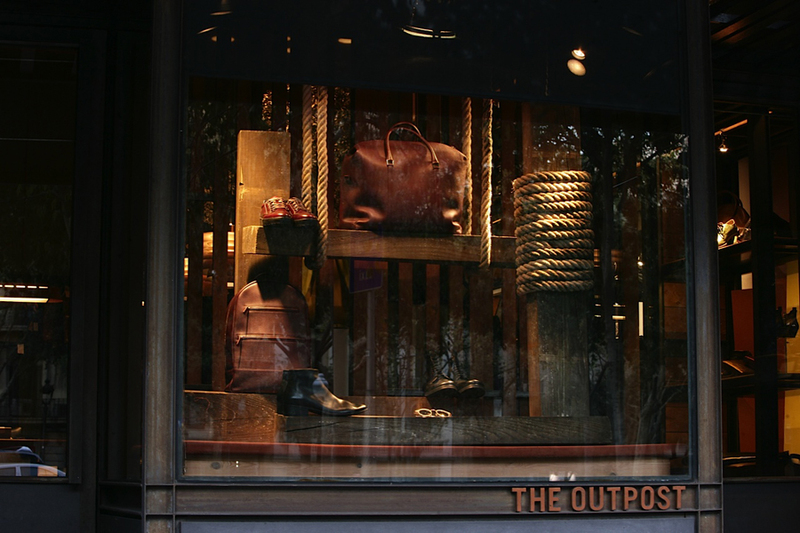 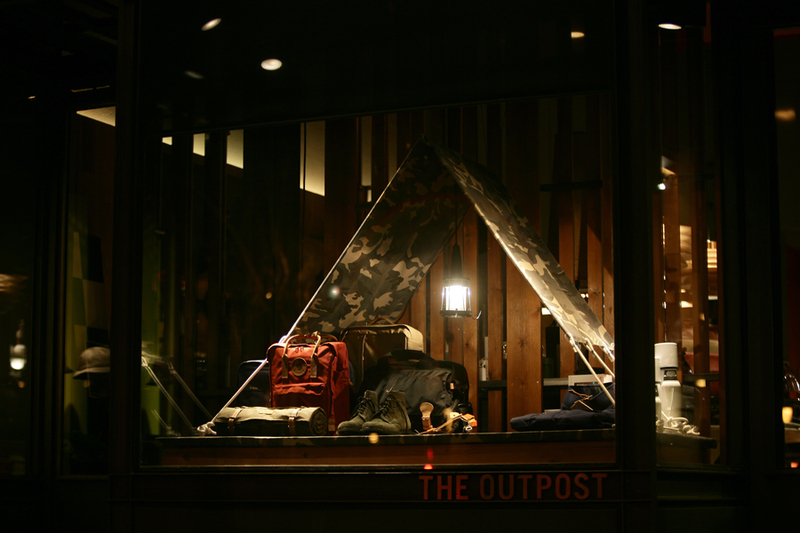 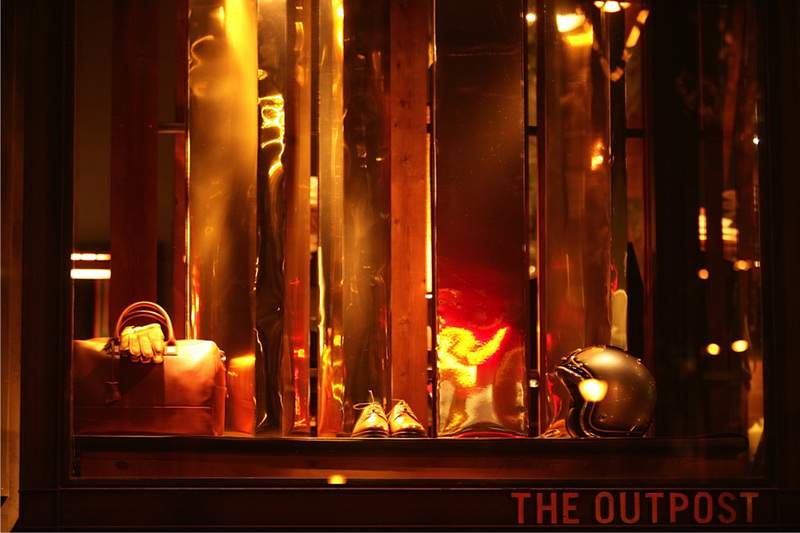 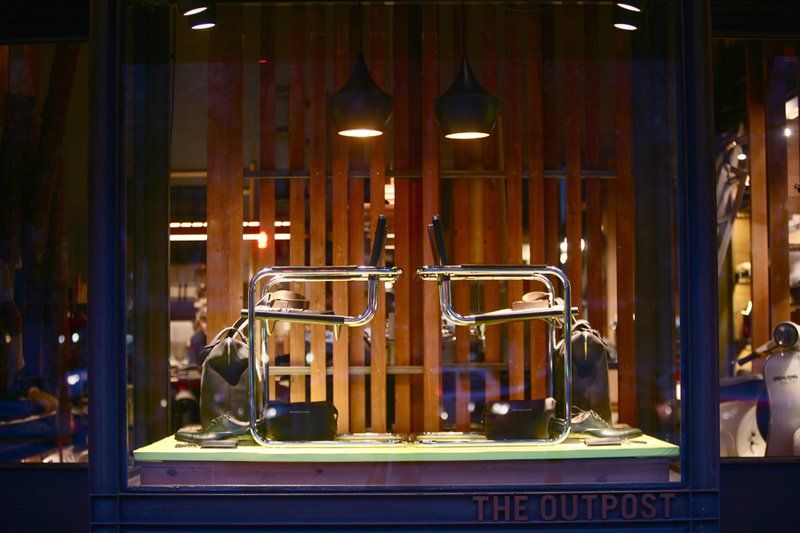 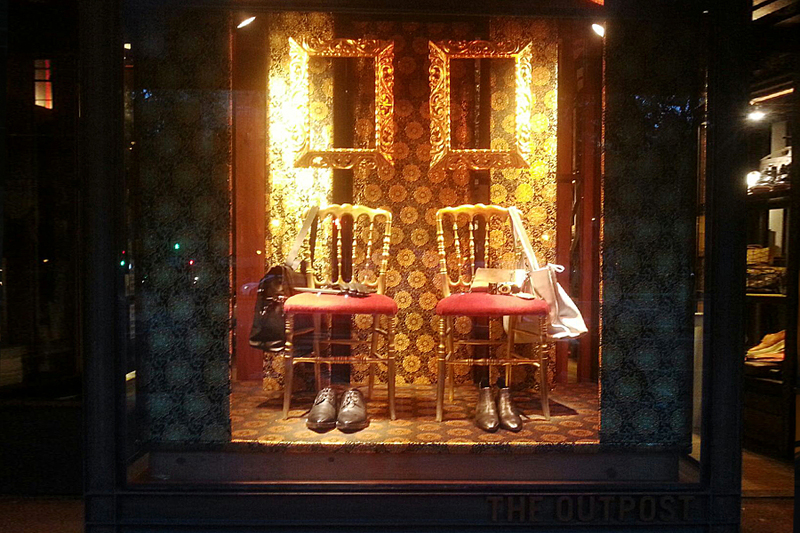 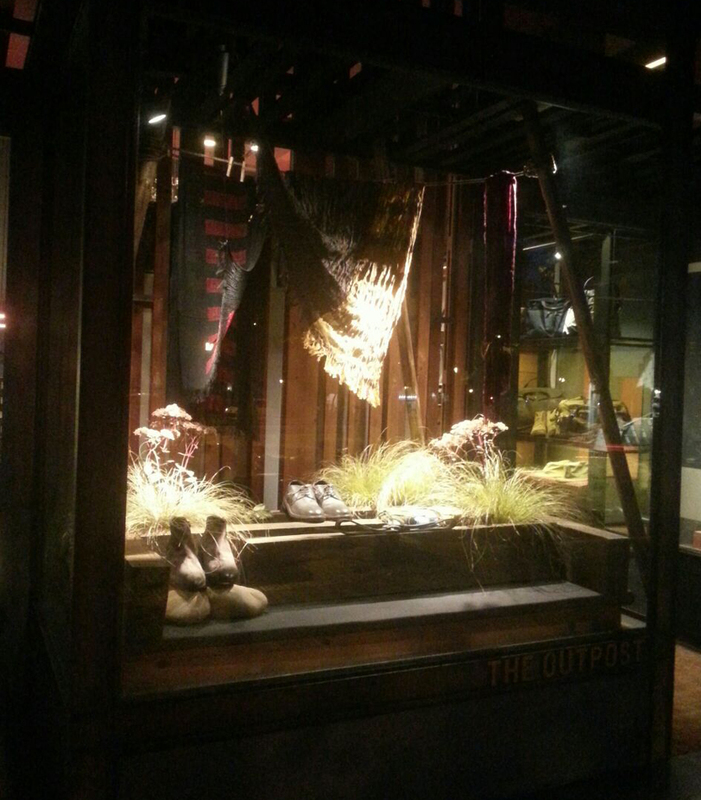 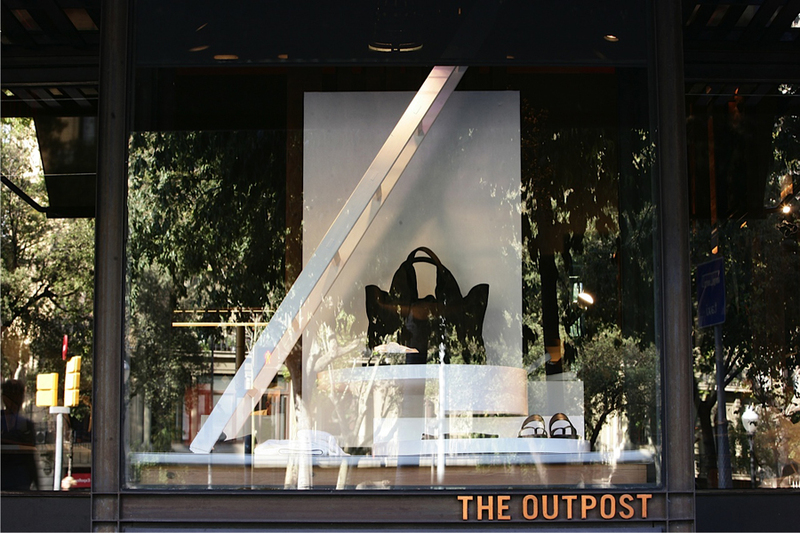 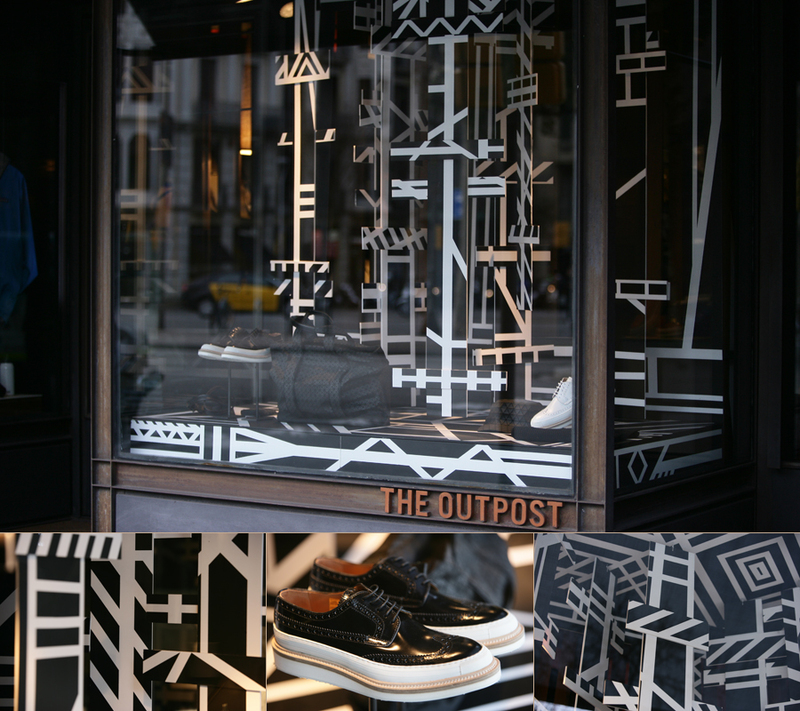 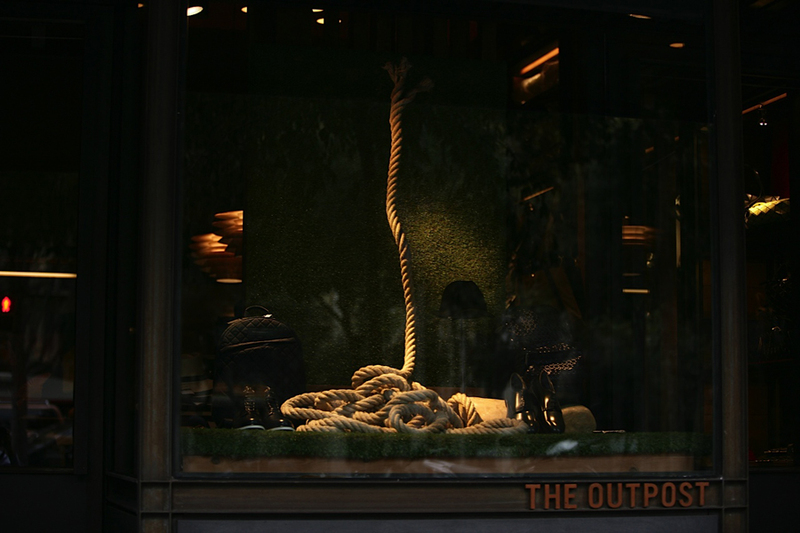 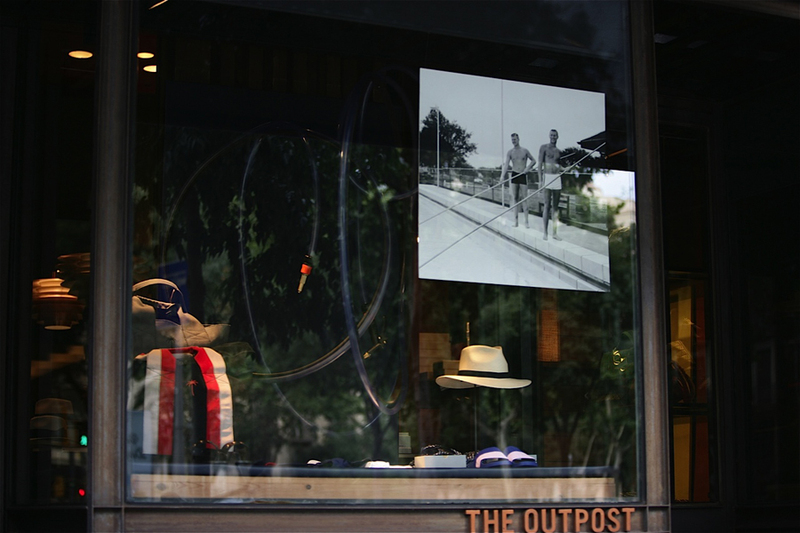 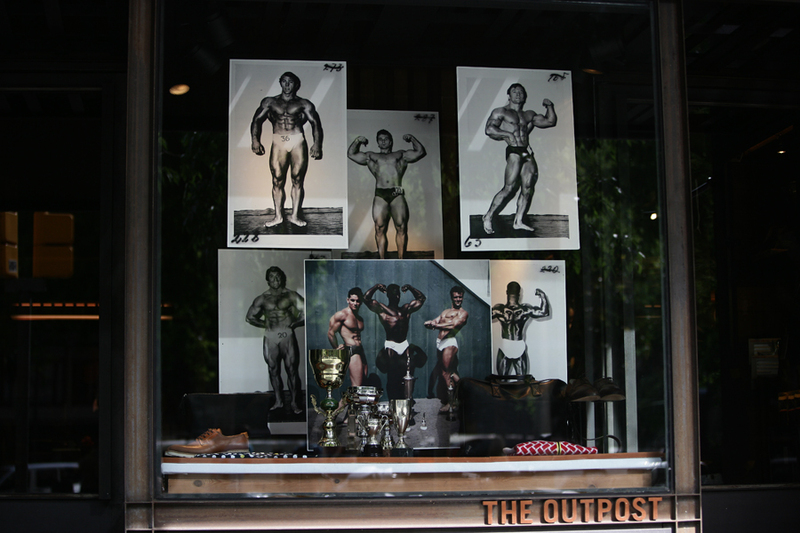 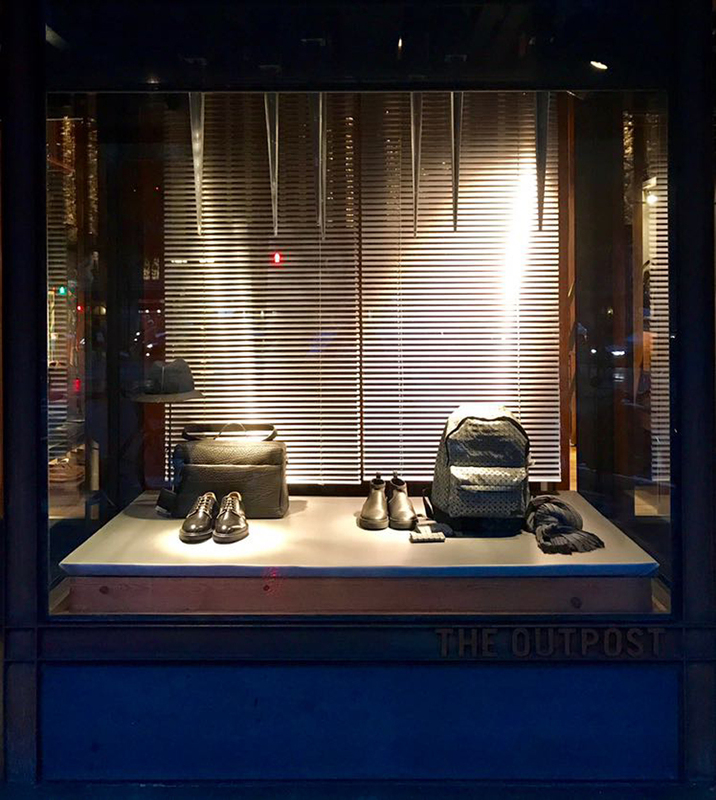 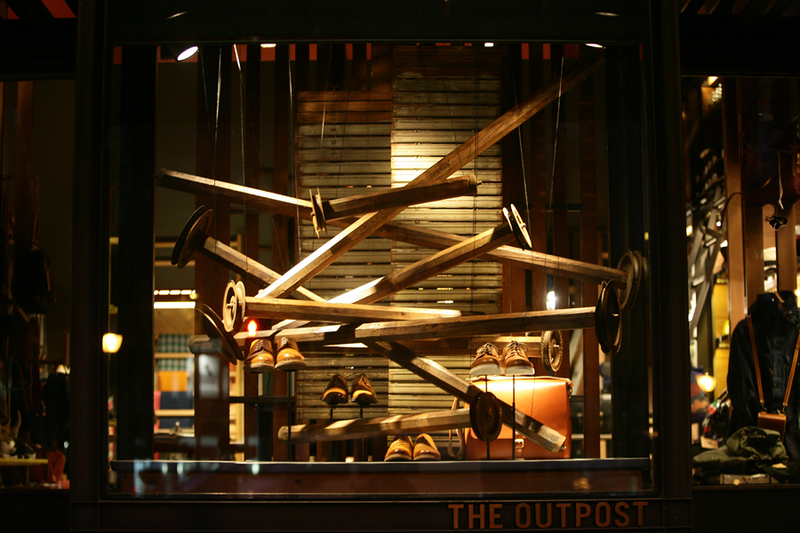 THE OUTPOST, avantgarde position for the scouting of new trends for the contemporary man. 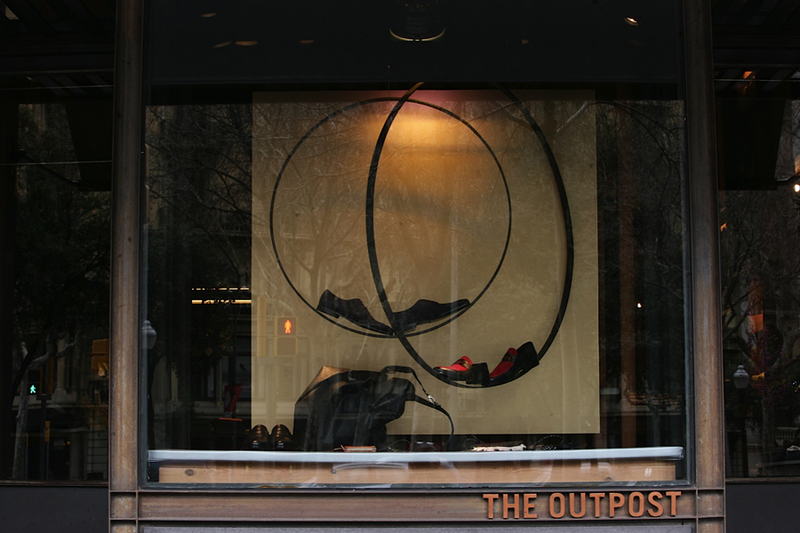 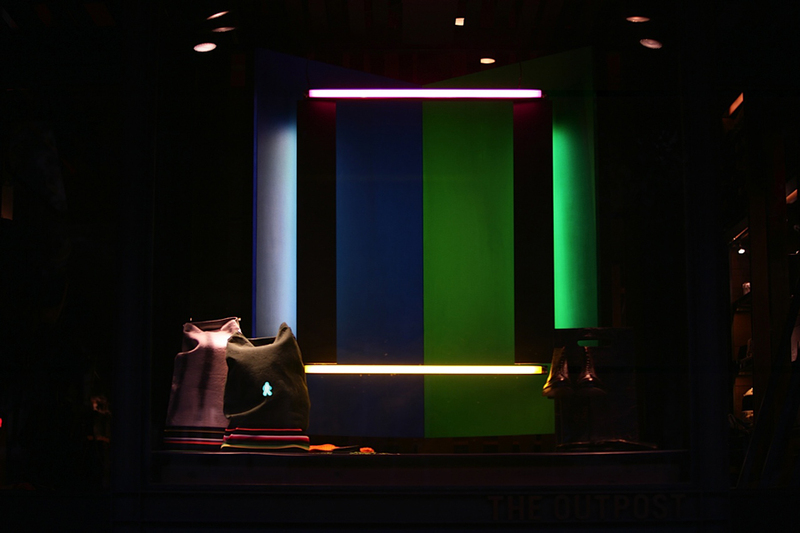 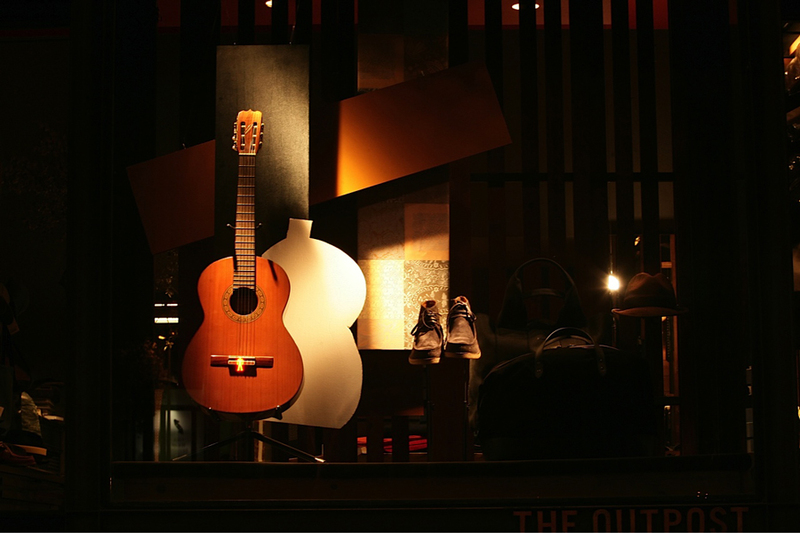 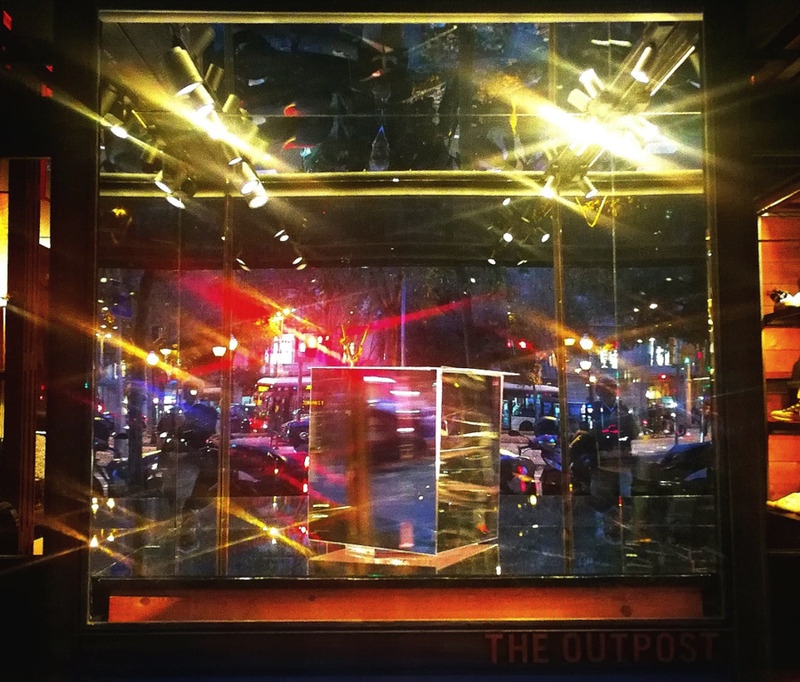 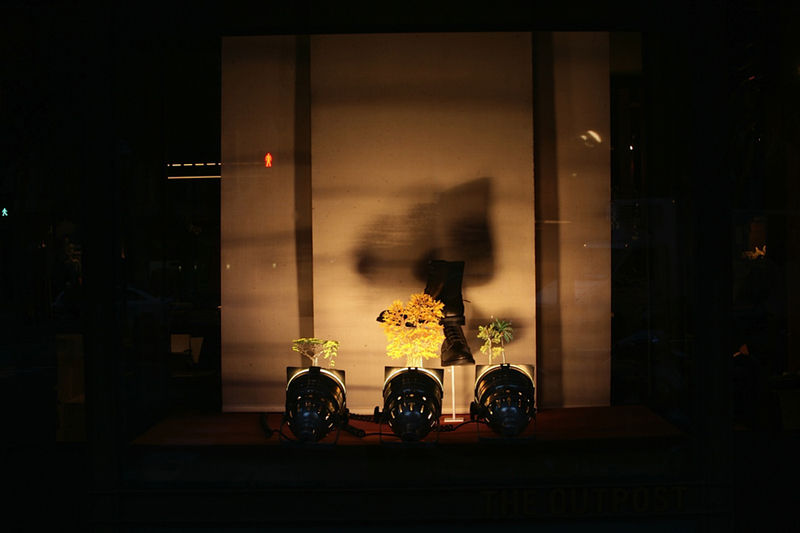 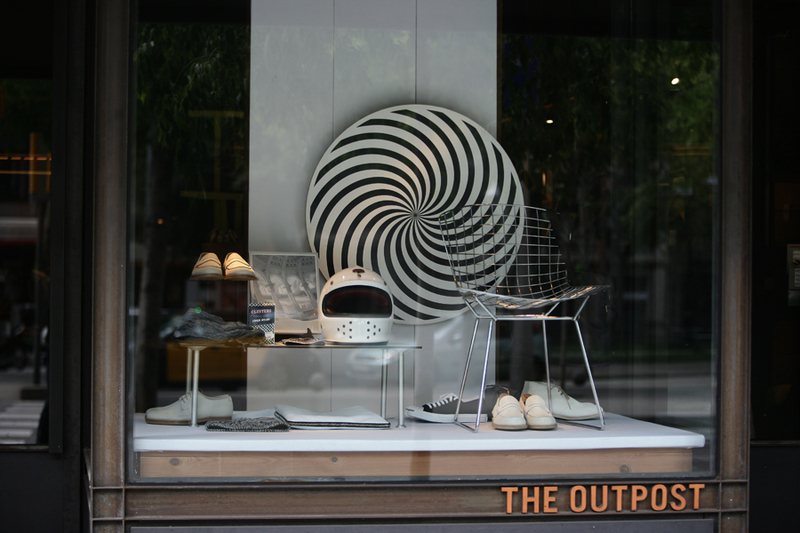 THE OUTPOST, frontier between Classic and Avantgarde. 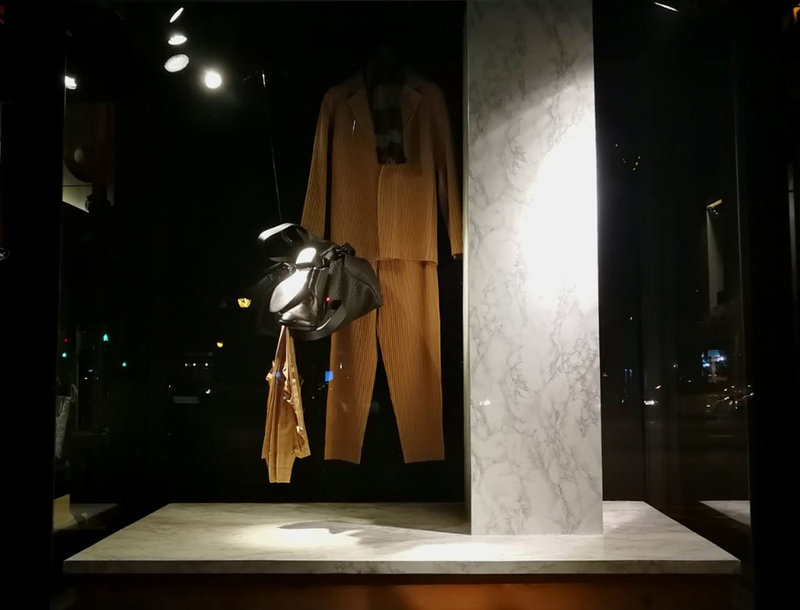 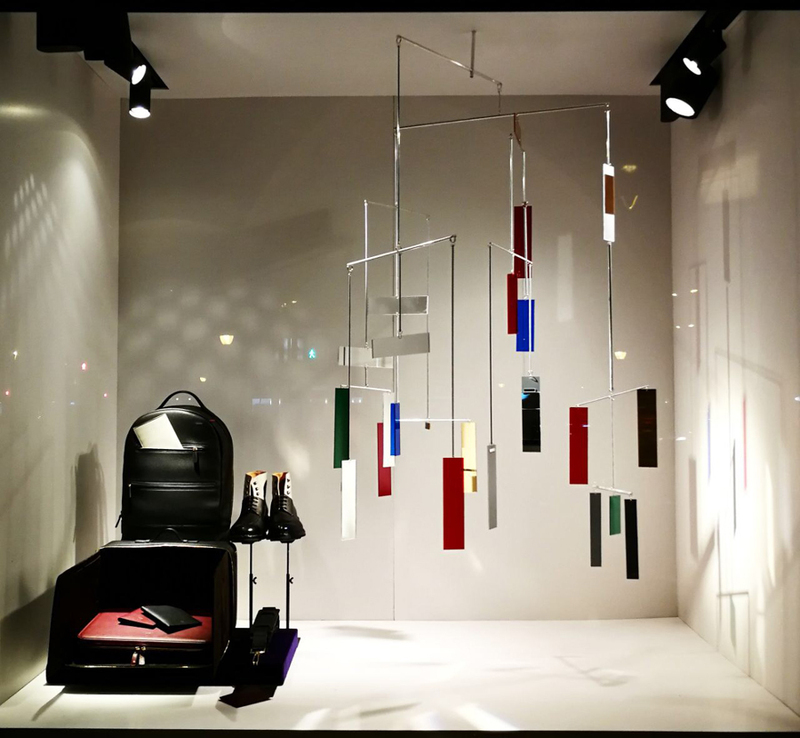 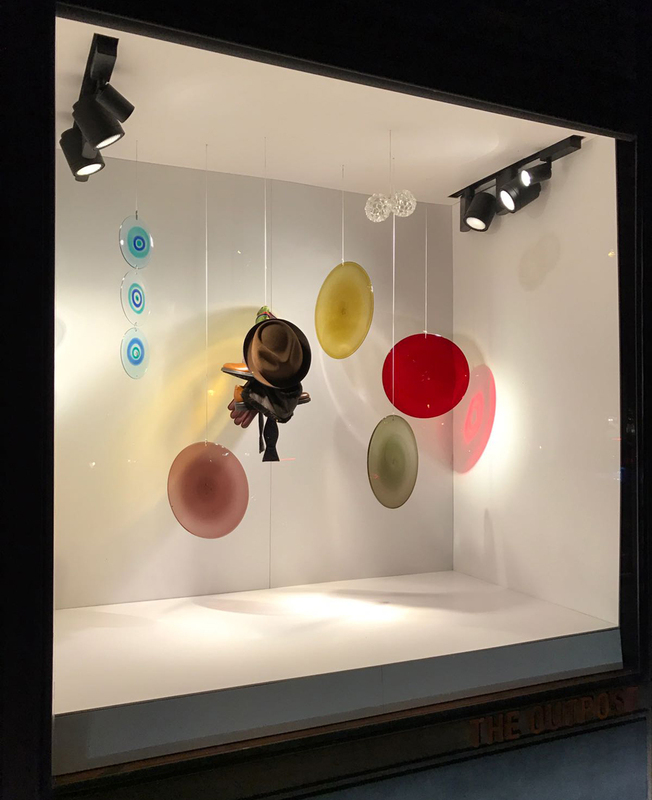 The shop is located in Carrer Rosselló 281bis at the crossing with Roger de Llúria and Diagonal in the ground floor of a building dated 1942 and signed by Duran I Reynals just opposite the Casa de Les Punxes, a landmark art nouveau building from the famous architect Josep Puig I Cadafalch. 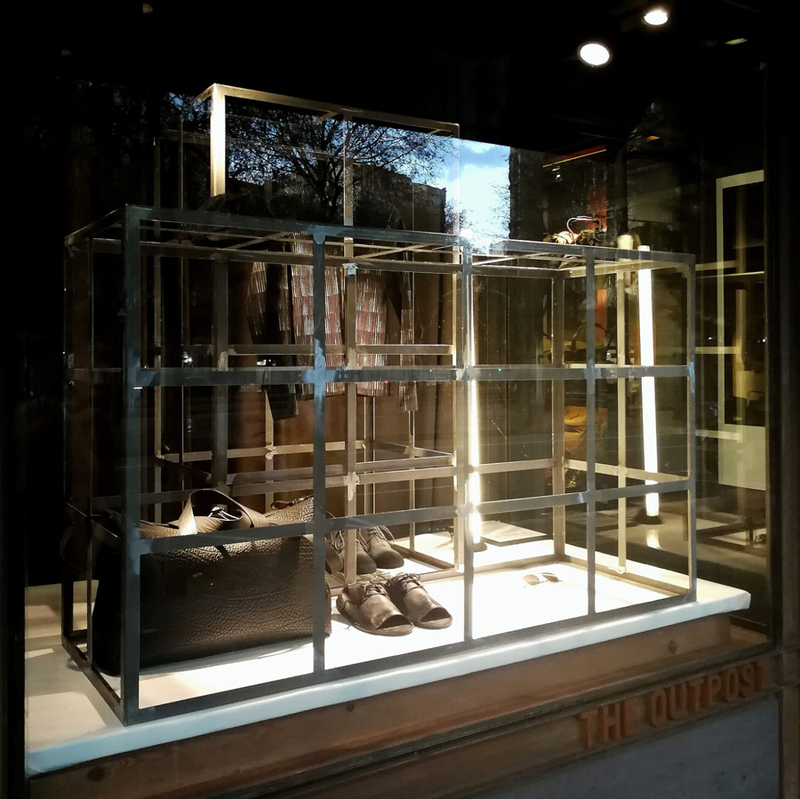 This location is a very prestigious address and perfectly integrated in the area of the higher end of the Passeig de Gràcia. 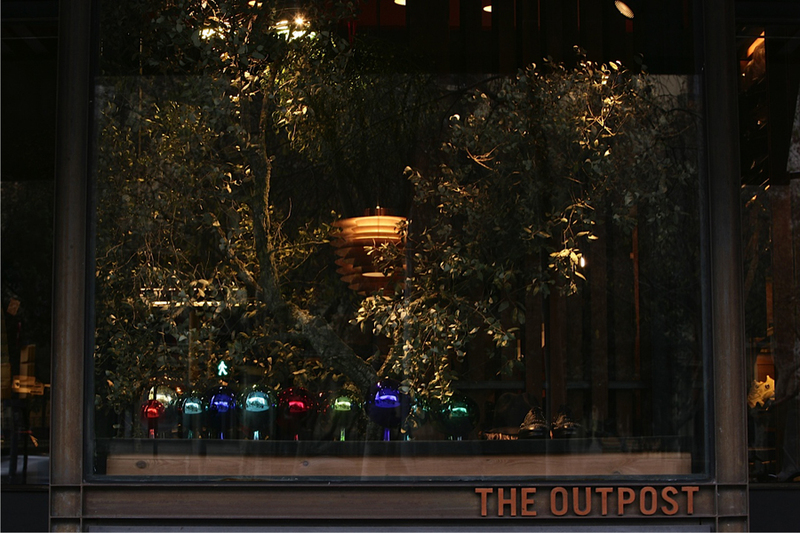 The interior design has been committed to Pilar Libano, a reputed professional with a long experience in shops, restaurants, hotels as well as private houses all over the country who decided to approach to it as a mix of different materials, styles and textures as the perfect way to communicate the concept of contemporary classic which defines THE OUTPOST. 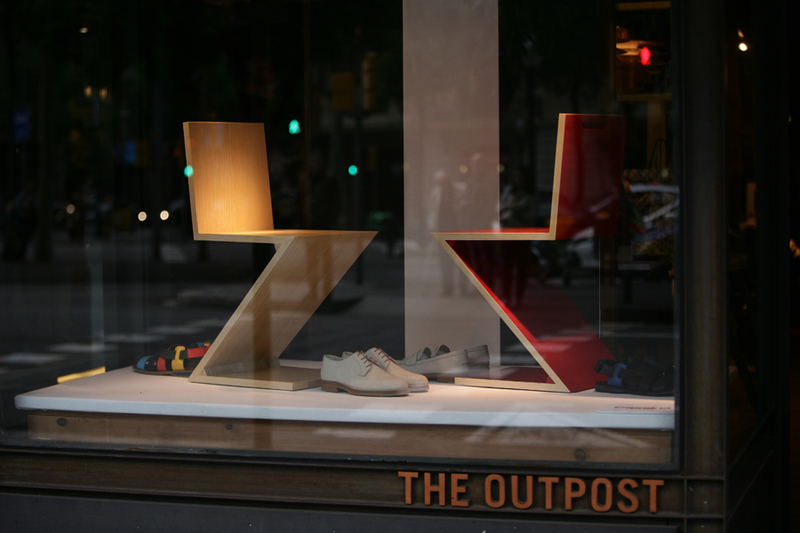 The logo was designed by Gorka Postigo, a very young studio from Madrid. 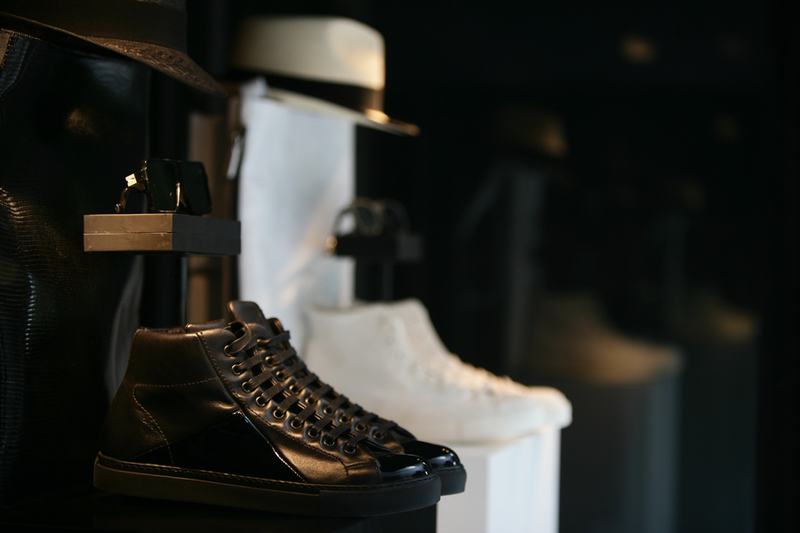 The opening took place on April with SS08 collections.